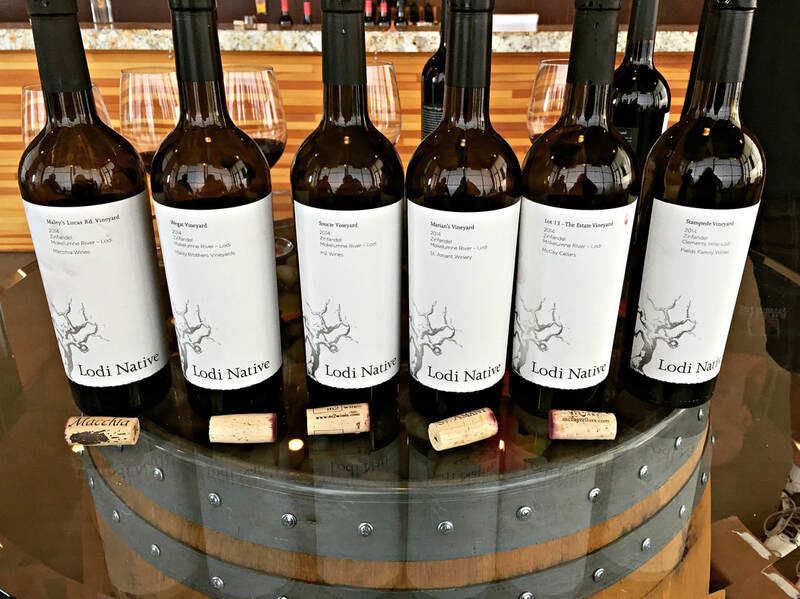 Lodi wines are the new disrupters, dedicated old-timers and fired-up young winemakers, both looking to shake up what you think you know about California wine. Over three days, I visited several producers and tasted lots of wine, and was blown away by the cornucopia of varietals, sheer quality and relatively low price that these wines represent. 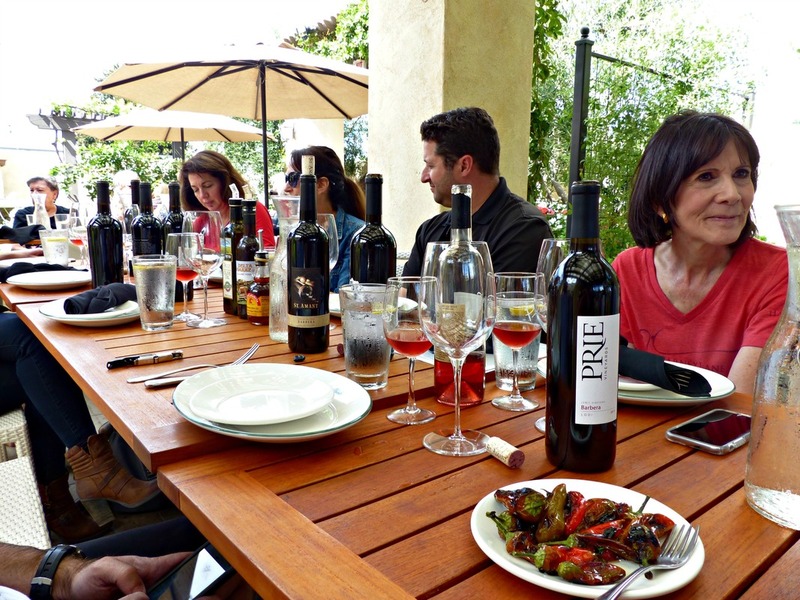 I was so impressed by the dedication and passion of a community where wine is a way of life. 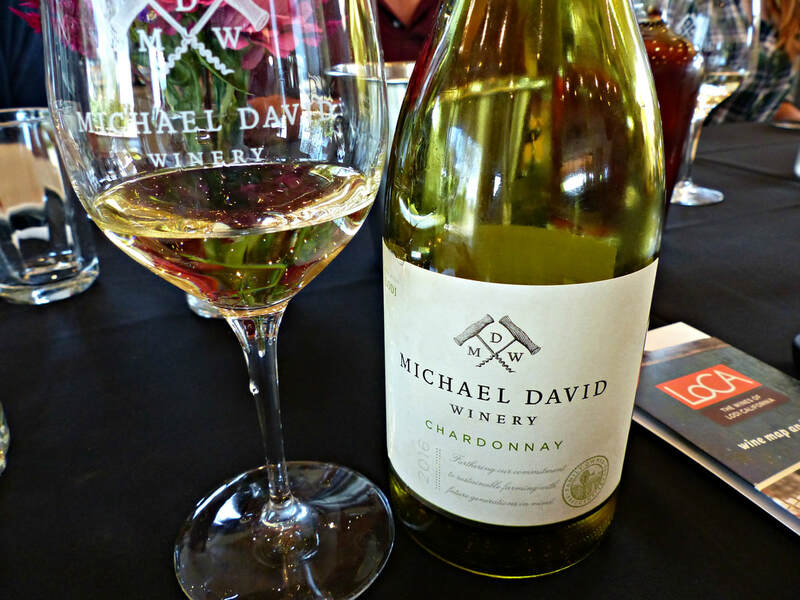 If there is one Lodi winery that most people can identify with, it’s Michael David Winery. 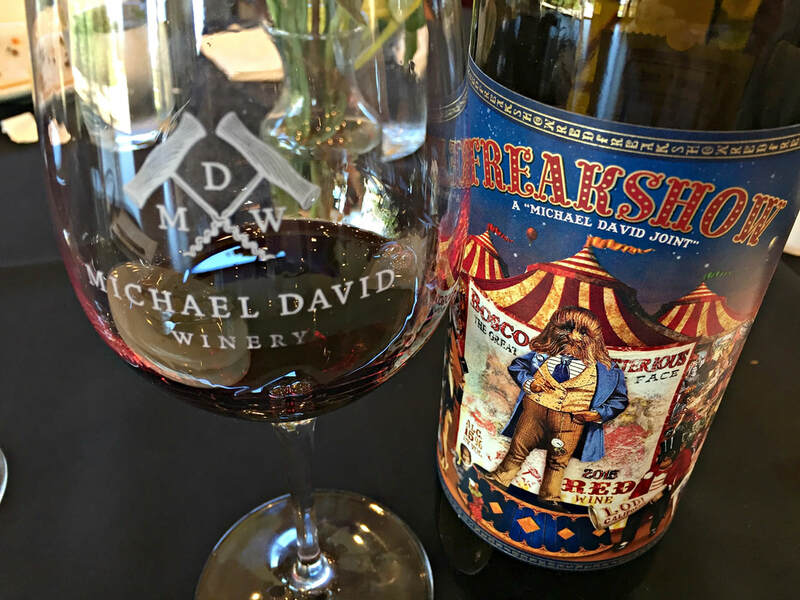 Brothers Michael and David Phillips, fifth generation Lodi grape growers, realized in the 1990’s that they were selling more wine than grapes, and jumped into the winemaking business in a big way, becoming the largest premium winery in the area. 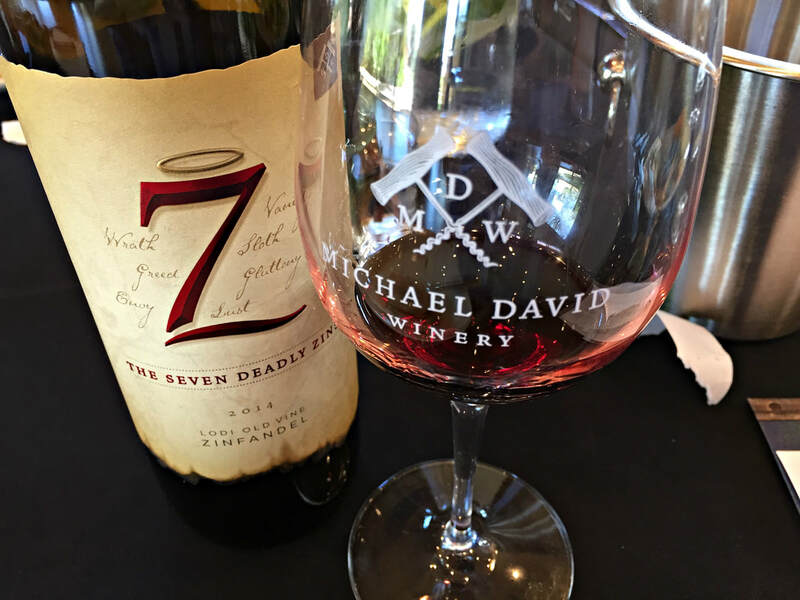 Seven Deadly Zins put them on the map, an experimental blend of seven different growers’ Zinfandel fruit, which became wildly successful. 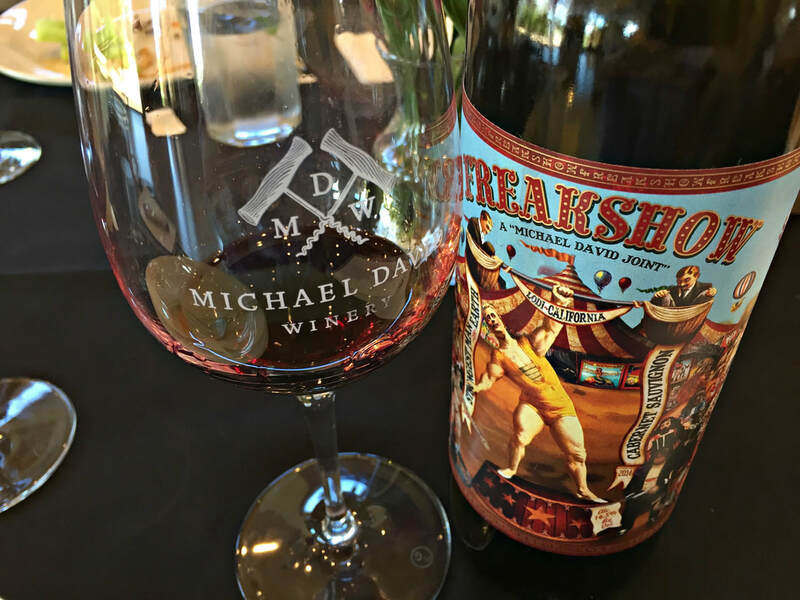 Easy drinking at a lower price point, it served as an inspiration for more wines in the same vein, catchy names and colorful labels, such as Freakshow, Sixth Sense Syrah, and Petite Petit. 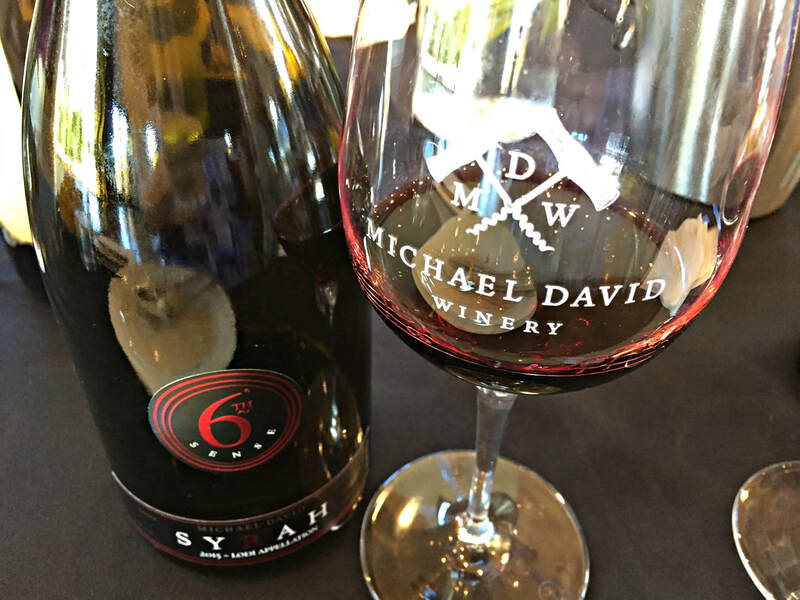 Over lunch at The Farm Cafe at Michael David Winery, Michael Phillips shared why he thinks his wines are so well-received. 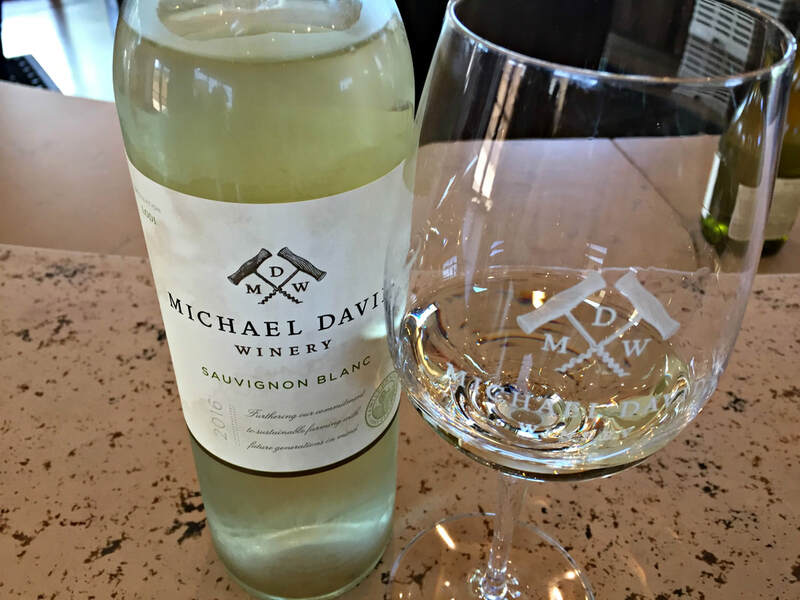 “We make what I call “Lodi-style”, well balanced wines with a purity of fruit, some complexity, touch of spice, and not too much oak.” But even though Phillips eschews the use of too much oak, Michael David uses the finest French oak barrels, which adds an elegant spin to the wines. 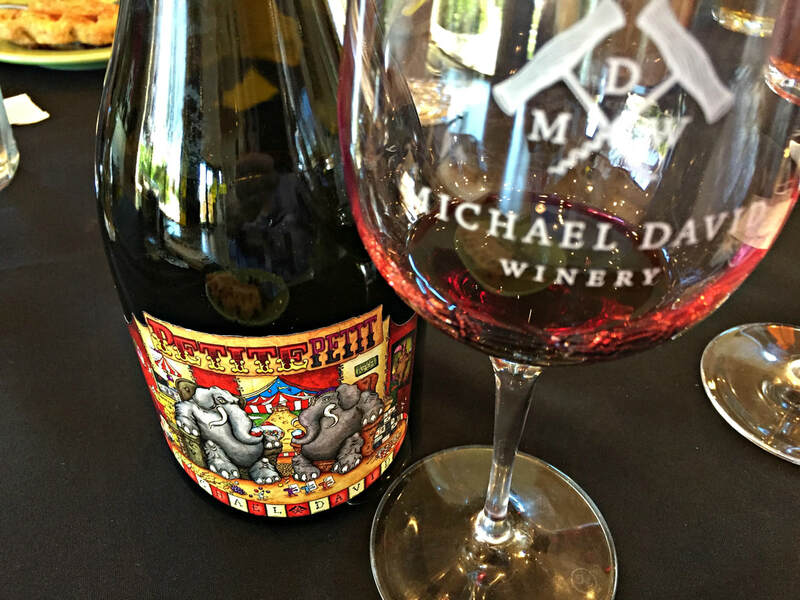 And now, with the purchase of Bare Ranch, almost 1000 acres of vineyards produce fruit exclusively for the brand, in addition Michael David buys grapes from over 40 other Lodi growers, all 100% farmed according to Lodi Rules. With an annual production of over 700,000 cases, there is something for everyone. 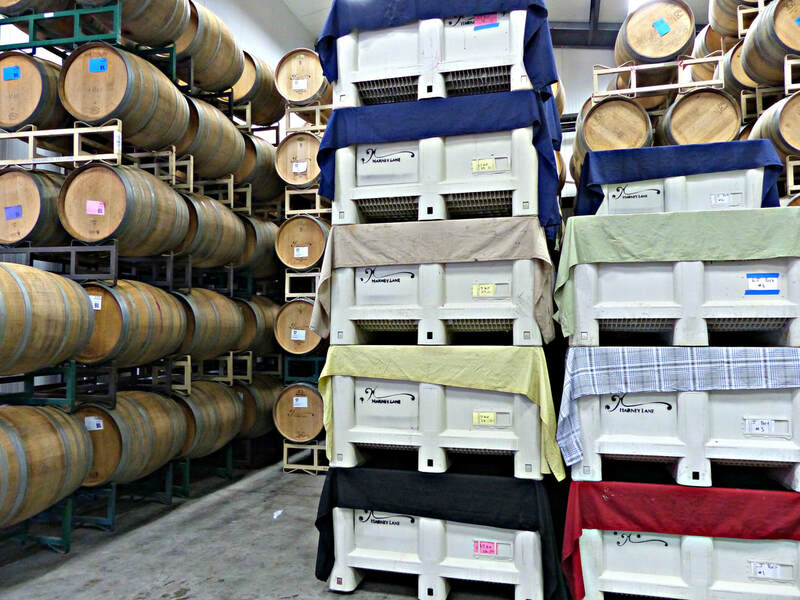 Outside of the flagship everyday wines, which are the meat and potatoes of the operation, higher quality wines are crafted, in the guise of the Earthquake and Inkblot series of red wines, such as Petit Verdot, Cabernet Franc, Tannat, and Petite Sirah, along with a small lot production of Lust Lodi Zinfandel and the occasional, only in an exceptional vintage Rapture Cabernet Sauvignon. 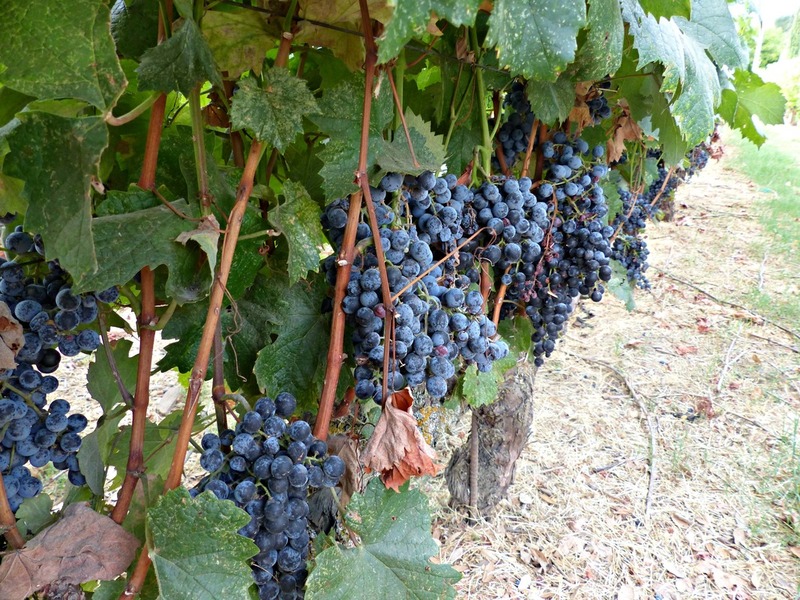 There is also an Ancient Vine Cinsault and Carignane, a nod to Lodi’s original winegrape plantings, in addition to Sauvignon Blanc, Chardonnay, and Symphony white wines. 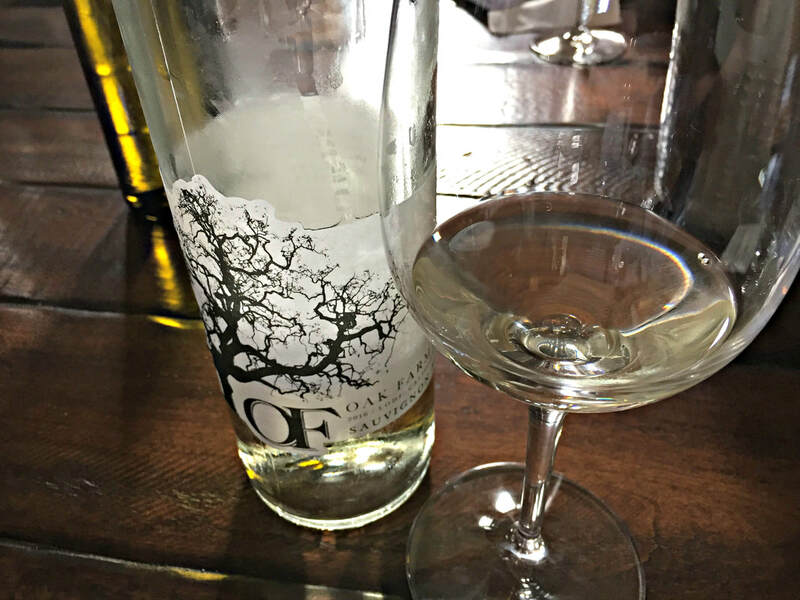 Although Oak Farm Vineyards has been around since 1864, the Panella family are the relative newcomers on the Lodi winemaking block, officially launching the label in 2009. 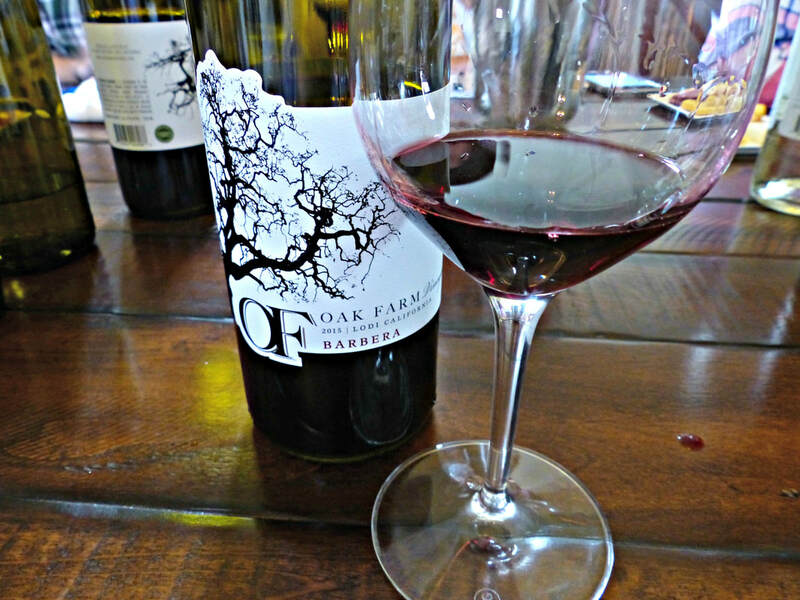 With a sleek new winemaking facility and tasting room, Oak Farm is an expression of modern Lodi, currently producing 14 white and red wines. 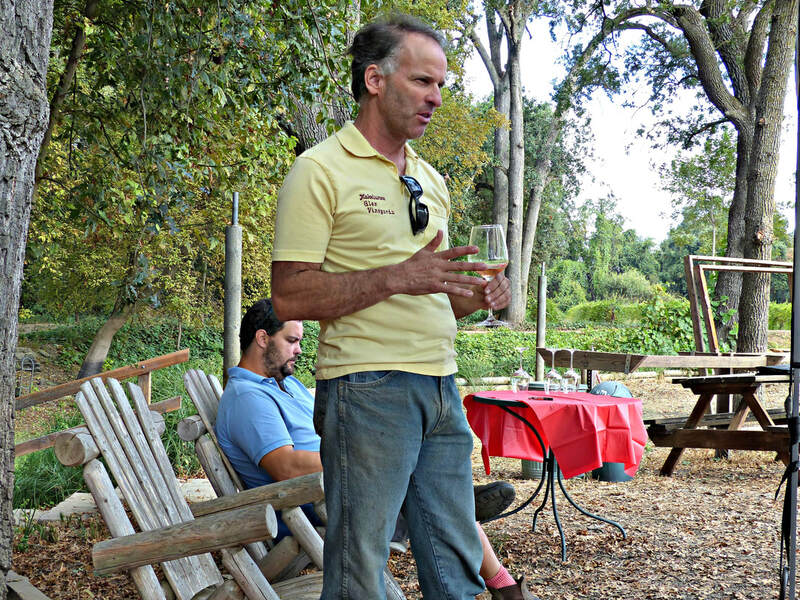 Dan Panella, owner and winemaker, comes from a farming family, which has grown cherries, nuts, and grapes in the area for decades. 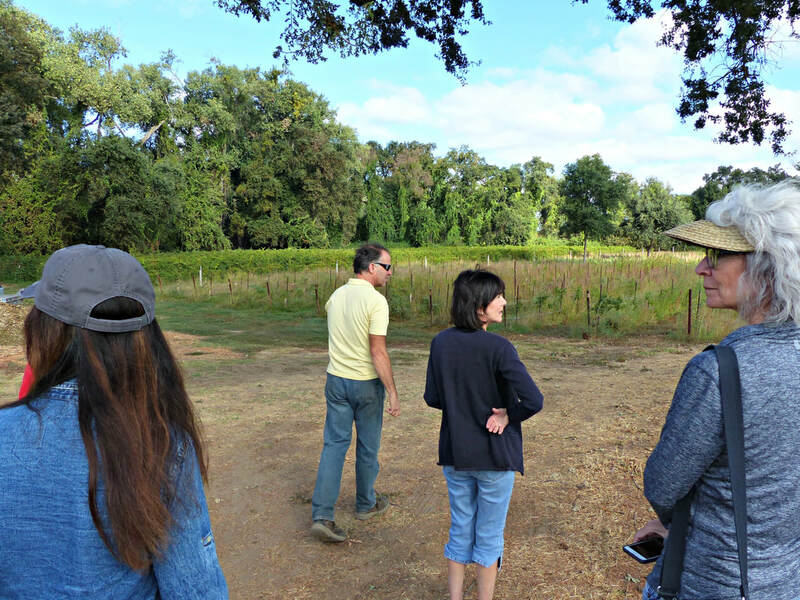 He outlined their goals, “We have 14 different varietals we grow on our 70 acre property. 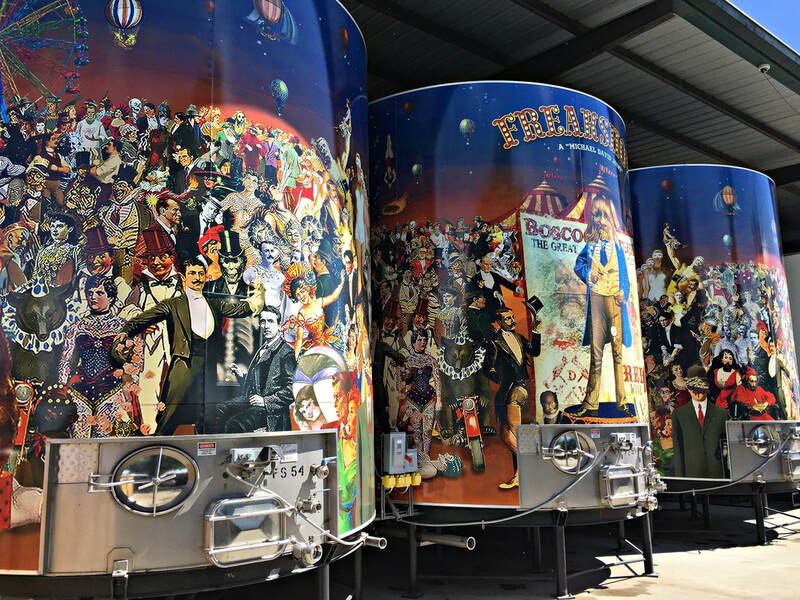 We’re trying to do our best job, just trying to push the envelope on what Lodi can do.” Head winemaker Chad Joseph observed, “What’s special about Lodi, you get that perfume type of character, for example, with the Sauvignon Blanc, you’ll get some citrus at first, but after a bit of age in stainless steel barrels, that perfume will come out.” To develop that complexity, Joseph picks the Sauvignon Blanc from Mohr-Fry vineyard at two different times, one pick more grassy and subtle, the second one, more tropical fruit, when blended together, it reminds him of his wife’s perfume. 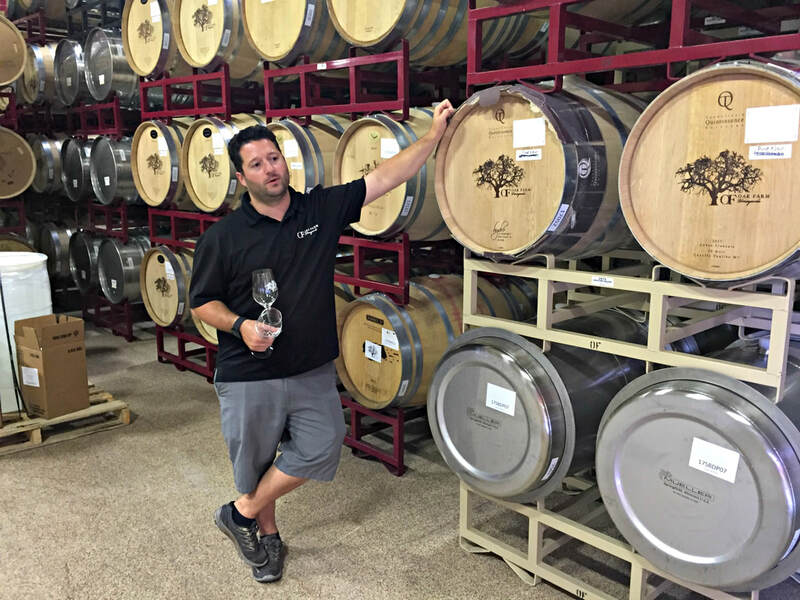 Panella is focused on evolving Lodi winemaking, tinkering with different yeast strains, blending different vineyards and AVAs, French and American oak aging, and what he considers his secret weapon, stainless steel Italian barrels. 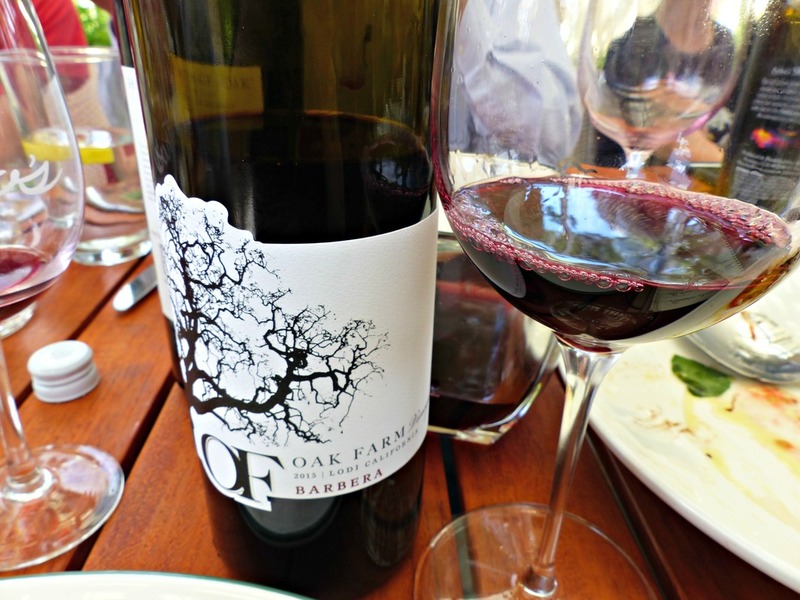 In addition to producing wine, Oak Farm has added hospitality areas, to facilitate wine tourism and tasting, and renovated the historic barn to host private events. 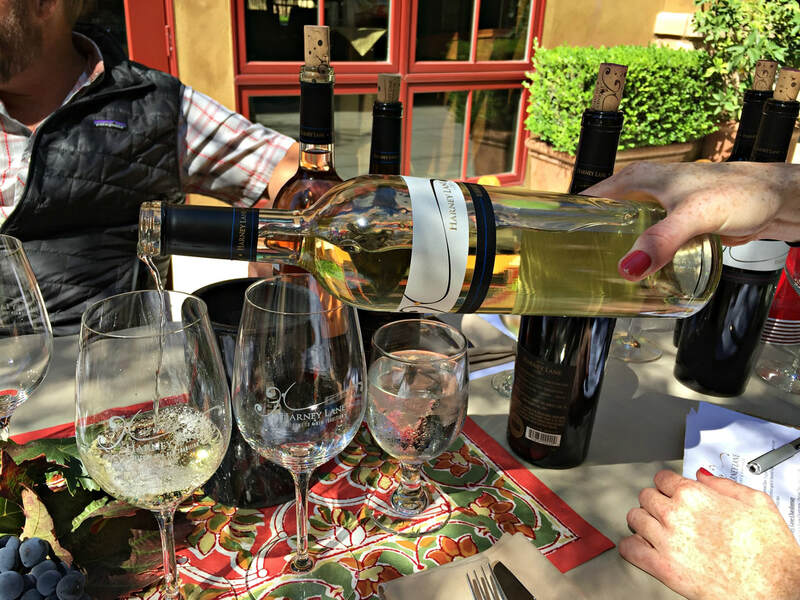 Sauvignon Blanc, Albarino, and Chardonnay make up the whites; Barbera, Grenache, Zinfandel, Cabernet Sauvignon, Primitivo, and Petite Sirah comprise the reds and blends. 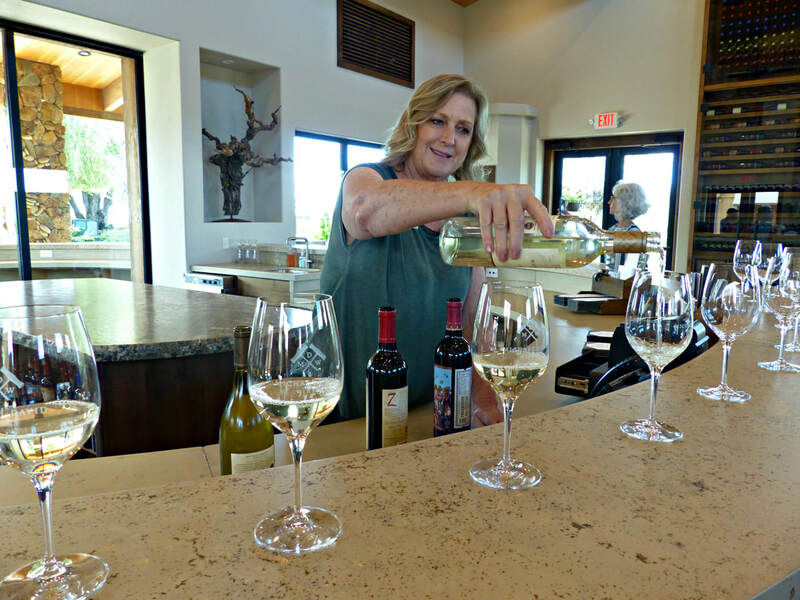 Winemaker Sue Tipton’s epiphany wine was a white Chateauneuf-du-Pape blend. 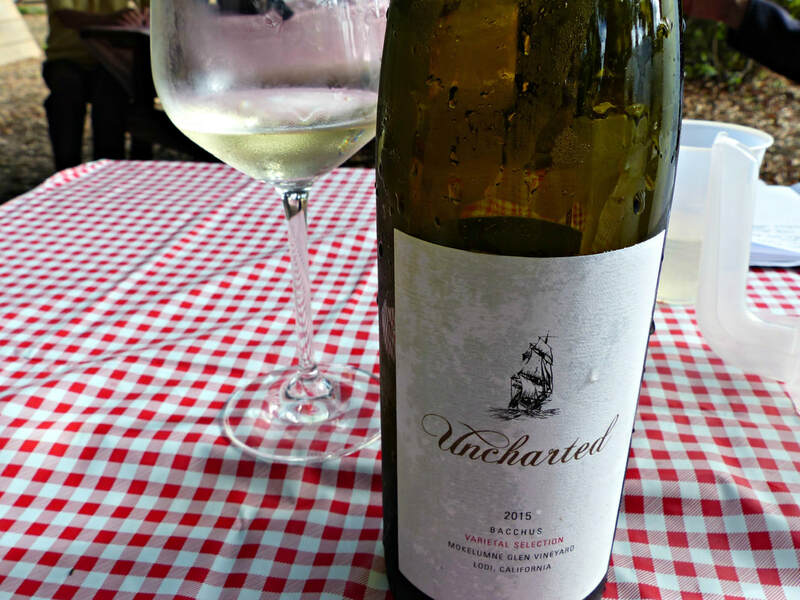 In fact it made such an impact that she decided to plant the same Rhône white varietals in Lodi, and played at recreating that same magic in a bottle. 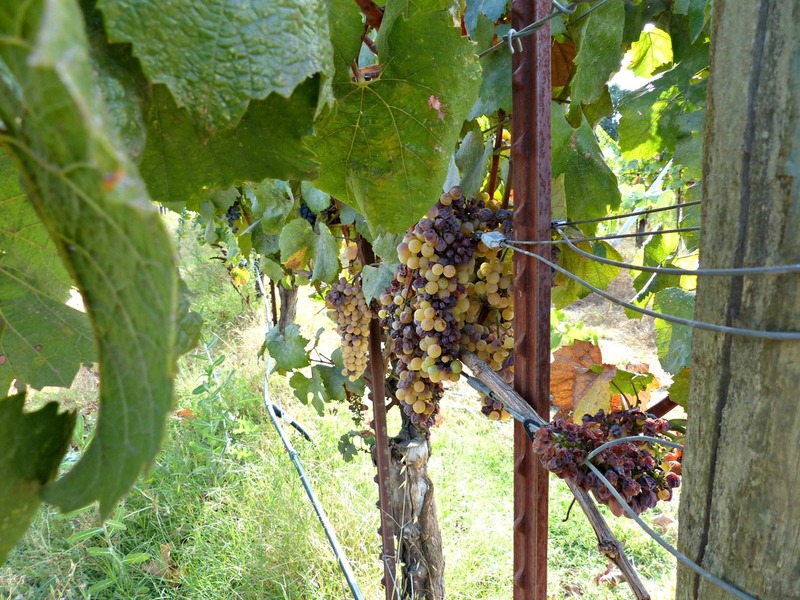 Focused mainly on the white Southern Rhône grapes of Picpoul Blanc, Grenache Blanc, Viognier, Roussanne, Clairette Blanche, and Bourboulenc, Acquiesce Winery & Vineyards makes a small production, in fact so small that Tipton sells out of wine within six months of release and has to close the winery until the following year. 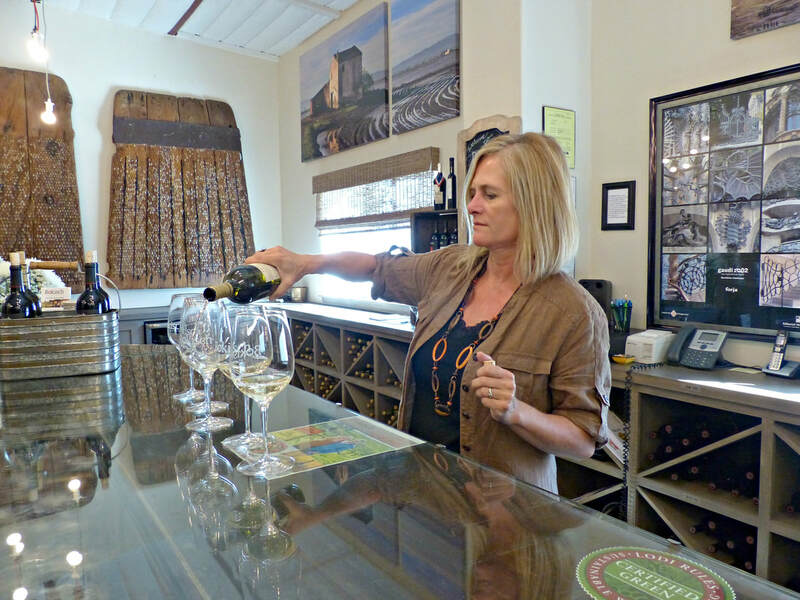 Advised that she would never stay in business unless she had a red wine in her lineup, she added a Grenache Rosé but stood firm in her conviction that Lodi’s future was in white wines. 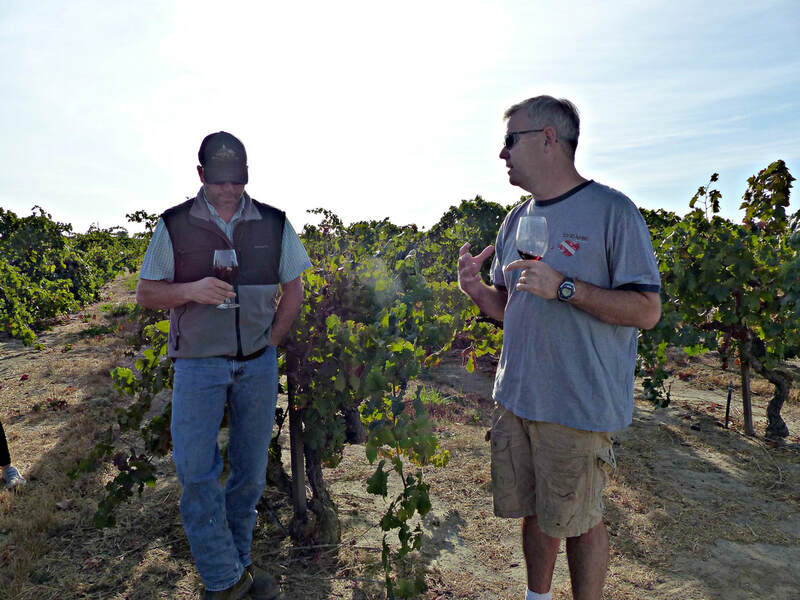 Tipton felt vindicated when wine author Oz Clarke identified Lodi as a potential source of great white and rosé wines based on their soils and climate, capable of producing mineral wines with bright fruit, high acid, and a long finish. 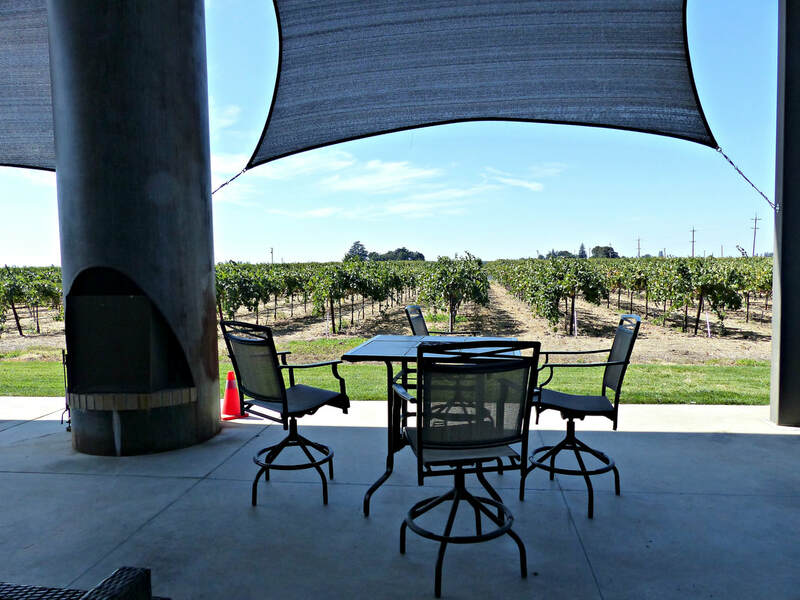 So Acquiesce became Lodi’s only dedicated white wine winery, winning acclaim and awards along the way, a Gold Medal Best of Class of the Region for the 2016 Grenache Blanc and Best Viognier in California for the 2015 vintage. 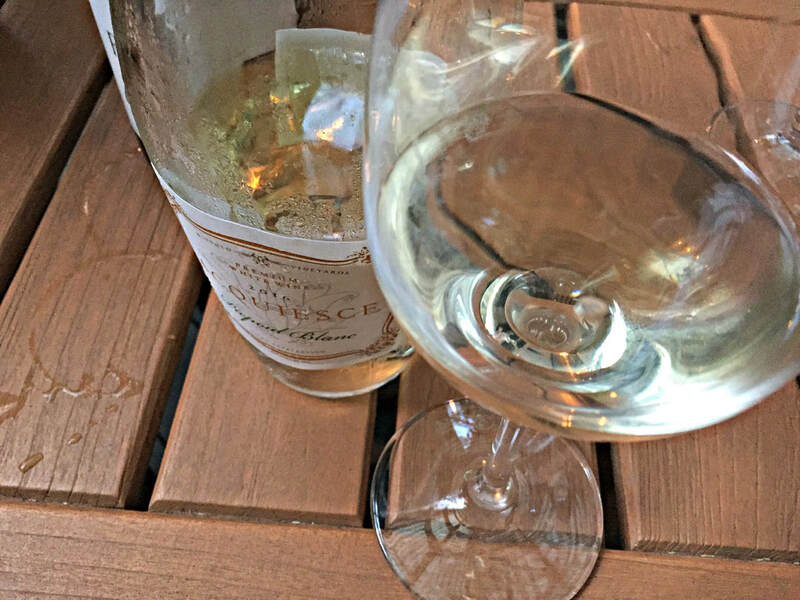 And the Belle Blanc is Tipton’s interpretation of the French wine that started it all, a blend of Grenache Blanc, Roussanne, and Viognier. 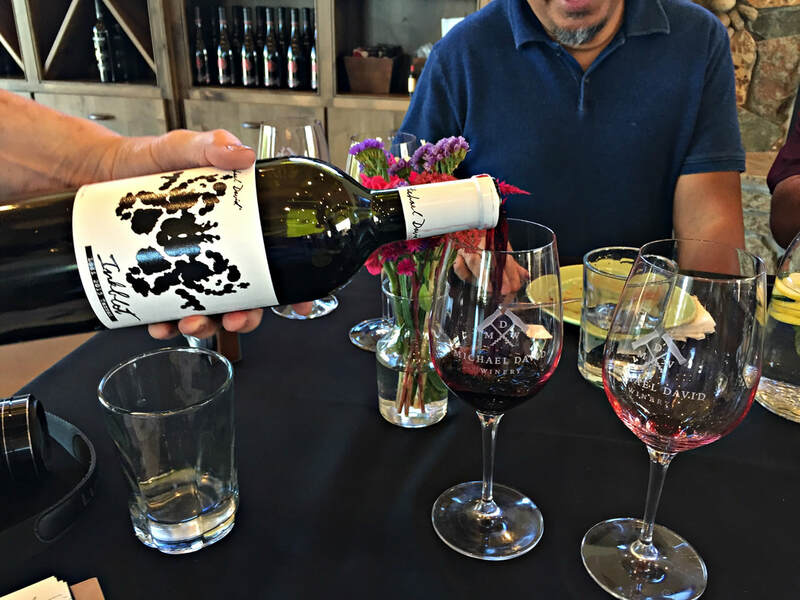 Small lots of wine, made from estate grapes that are lovingly tended to, is what the team of Russ Fields and Ryan Sherman wanted to do from the beginning with their Fields Family Wines. 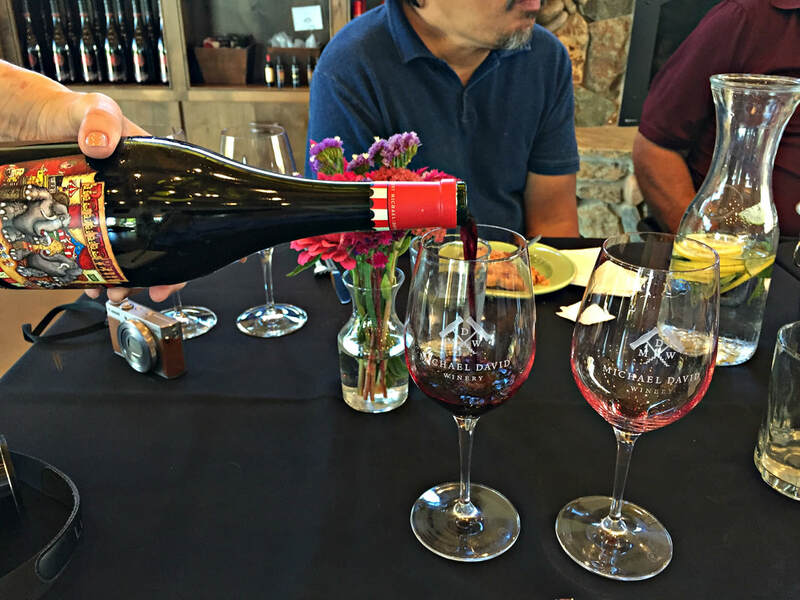 Focused on Rhône varietals in their own vineyard, they buy fruit from well-regarded local vineyards to make the kind of wines that interest them. 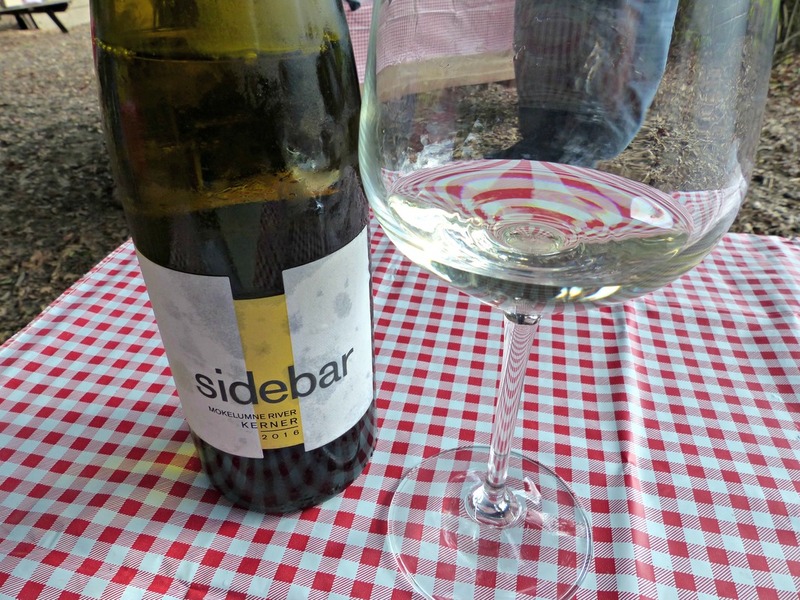 Mostly it’s a minimalist approach that really spotlights the vineyards, native yeast fermentation and neutral French oak as an example, but eclectic experimental winemaking is what Sherman enjoys. And no better wine to illustrate this than the Bechthold Vineyard Cinsault, picked early, foot treaded, chilled, semi-carbonic maceration, whole cluster pressed, native yeast fermentation, aged in neutral French oak, and bottled in March following the vintage. It seems like a lot of tinkering but it’s fresh and vibrant, a purity of fruit that is truly perfume in a bottle. He also thinks that Tempranillo might be the next big thing for Lodi, “If Napa Cabernet is king, I think Lodi Tempranillo deserves a rightful shot at the title, it has structure, elegance and ageability.” Fields Family’s version fits the bill, aromatic with a dusty rose petal elegance, not Rioja style but something special in its own right. 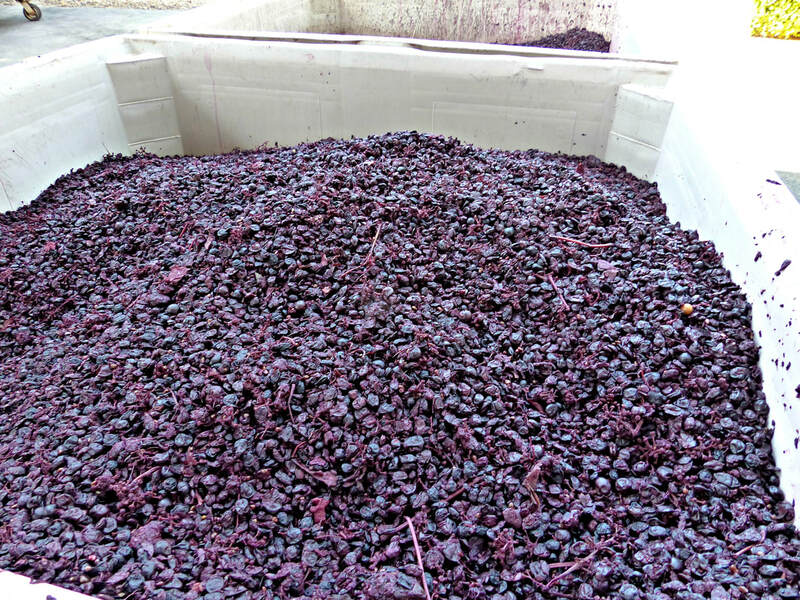 In addition, a highly rated Old Vine Zinfandel, GSM Blend, and Big Red Proprietary Blend rounds out the current Lodi lineup. 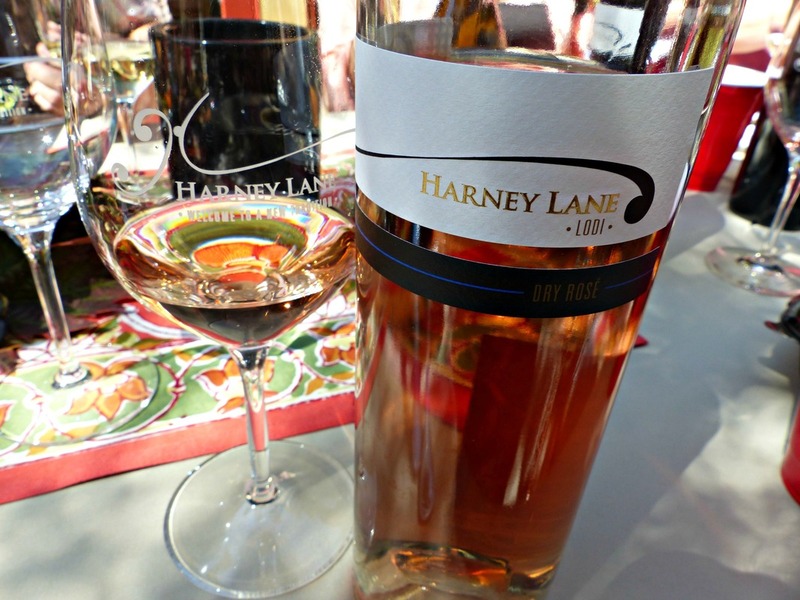 Harney Lane Winery & Vineyards embodies the transformation of Lodi from a farming community to a wine region. 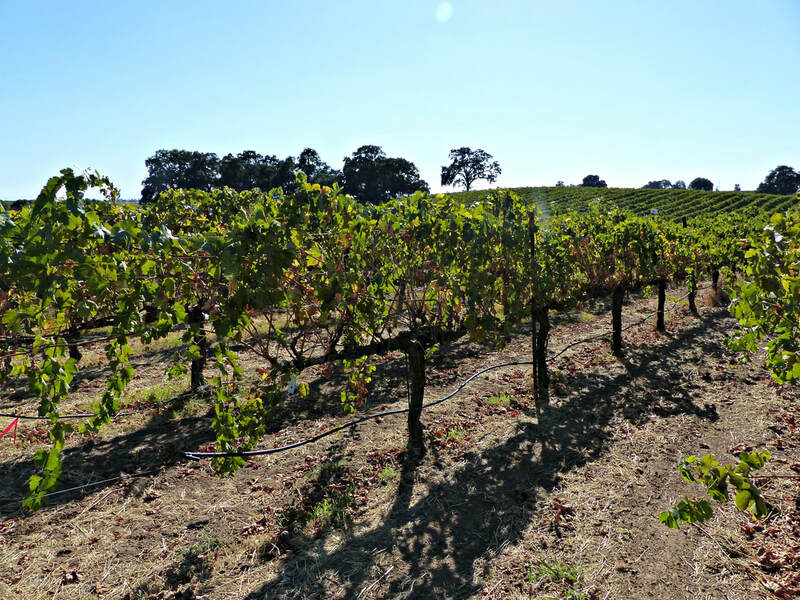 For over 120 years, these 100 acres have been farmed by the Mettler family, one of the original founding families of Lodi. 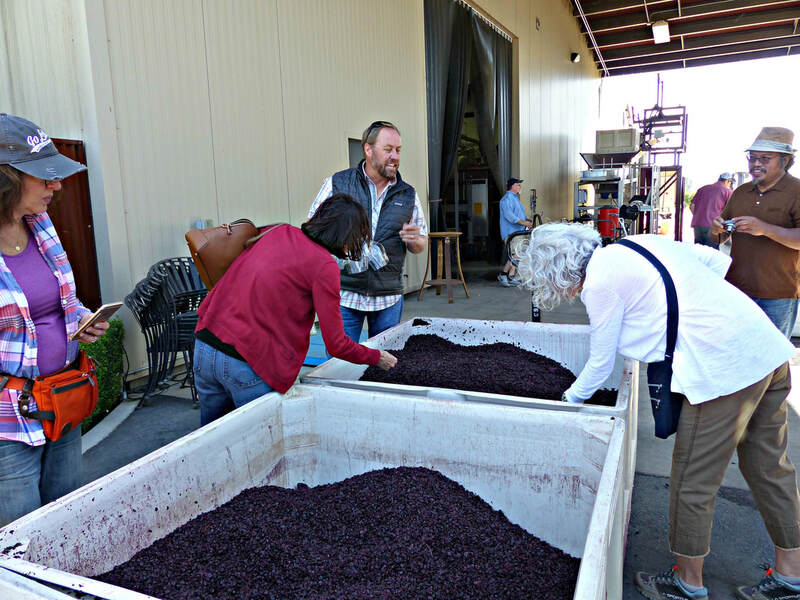 When Kyle Lerner married Jorja Mettler, they joined her parents in transforming the family business to something that was entirely their own, from winegrowers to winemakers. 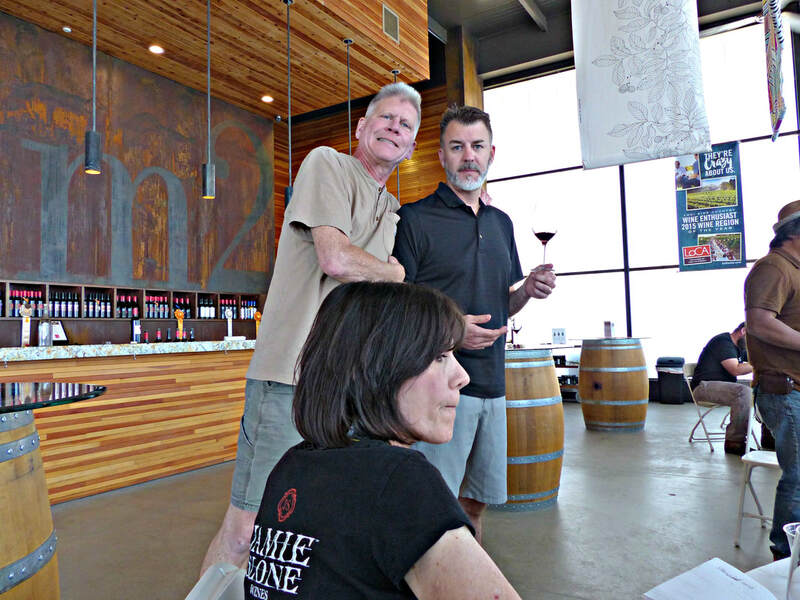 Starting with the Lizzy James Old Vine Zinfandel, a bold, brambly, spicy beauty, Harney Lane has expanded its award-winning lineup, producing two whites, an Albarino and Chardonnay, a rosé, and nine reds from Zinfandel, Tempranillo, Petite Sirah, Cabernet Sauvignon, and Primitivio. The fruit is all estate grown, and Certified Green through the Lodi Rules program, something the Lerner/Mettler family is very proud of. Lerner affirmed, “We live on the land that we farm, we drink the water that’s underneath it, we eat the fruit that’s grown on it. 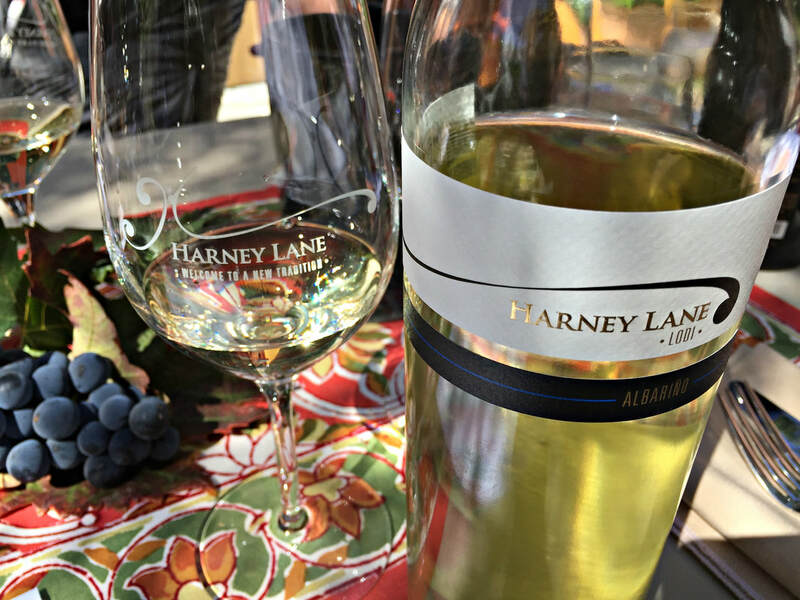 We already knew that we were sustainable, we didn’t have to change anything that we were doing, other than a lot of paperwork.” Since Harney Lane still sells 90% of its fruit to other winemakers, adhering to Lodi Rules is a bonus. 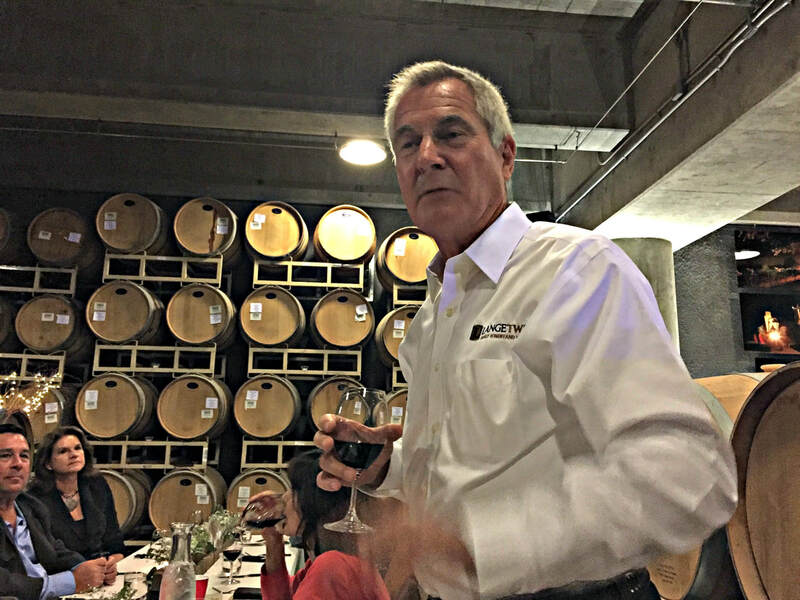 Lerner explained that this multi-faceted program has been good for business, “Lodi is motivated by family concerns, economics, and how to sustain for the long run.” And for the Lerner/Mettler family, they hope to be making wine here in another 100 years. 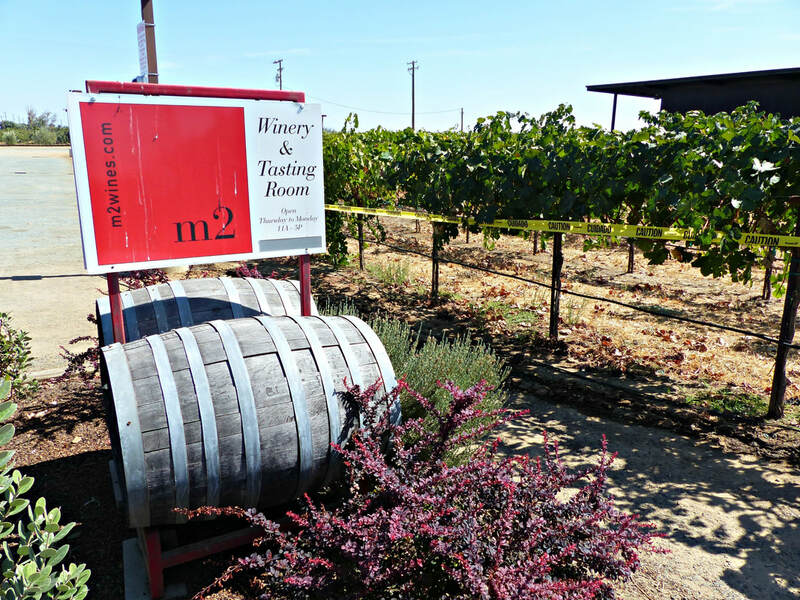 A sleek new winery and tasting room among the vineyards belies the dedication to old world winemaking craft at m2 Winery. 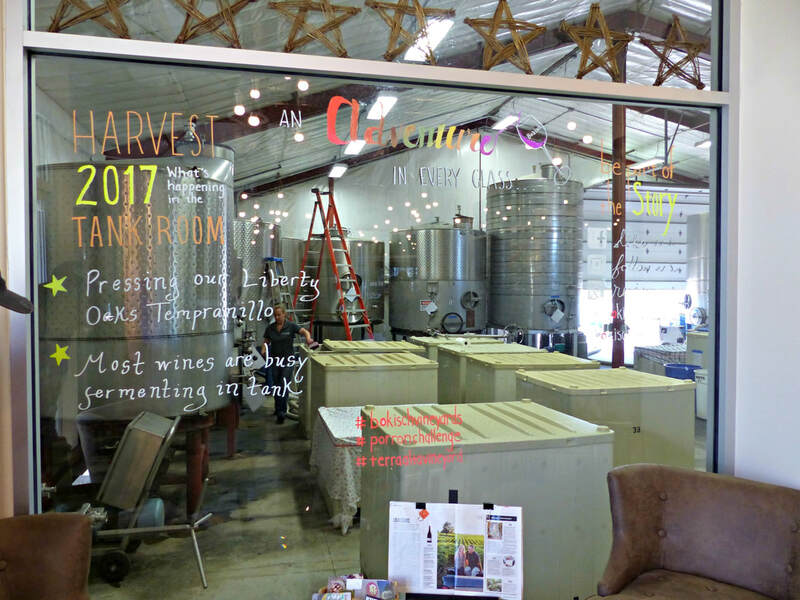 Layne Montgomery is leading the artisanal charge, making uncommon wines that taste of the specific vineyards. Afficionados of characterful single vineyard bottlings appreciate the Soucie Vineyard Old Vine Zinfandel, highly regarded for its plush, earthy and layered palate. 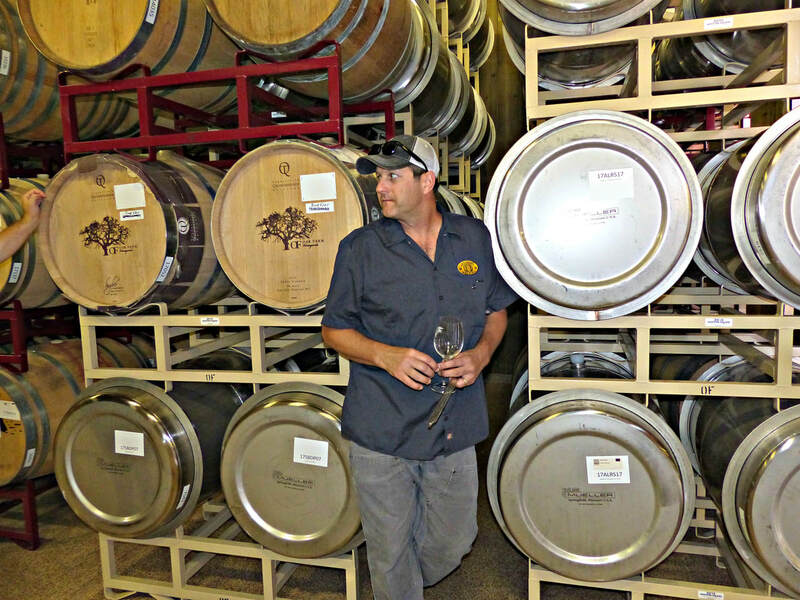 From humble beginnings to today’s shining winery on the hill, Bokisch Vineyards characterizes the spirit of Lodi, an avant-garde approach to winemaking in a region of history and tradition. Markus Bokisch grew up with a love of Spanish wine, spending his school summer breaks with his family in Spain. 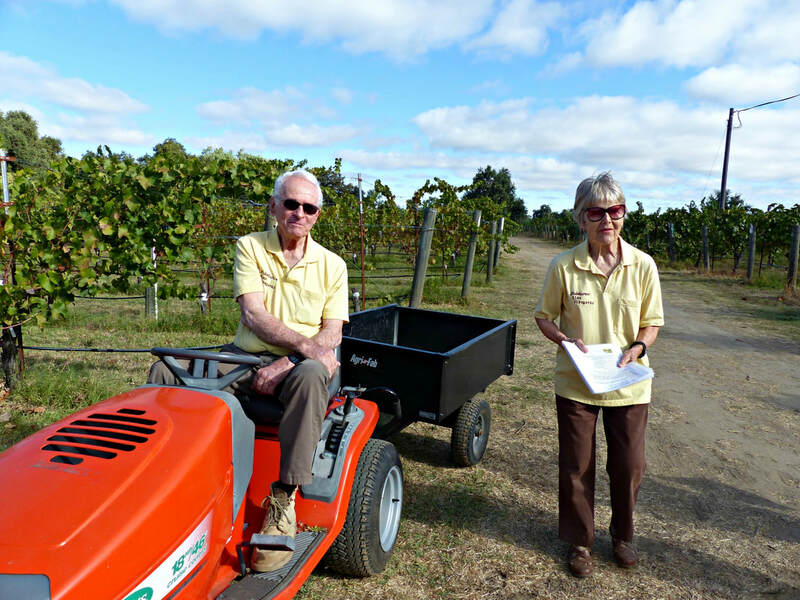 These experiences left a lasting impression on him, and he eventually returned with his wife, Liz, to work in the Spanish wine business in the early 1990’s. 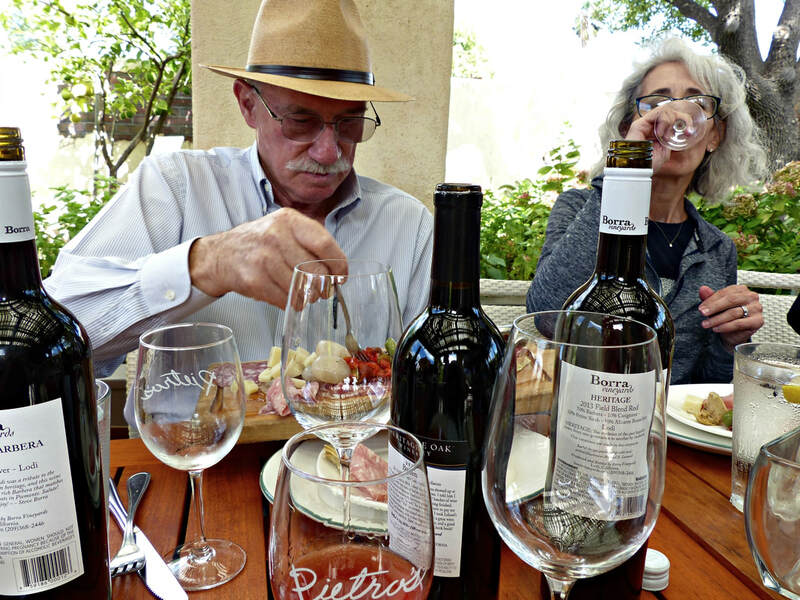 Fired up with their appreciation of Iberian wine grape varietals, the couple returned to Lodi, and bought Terra Alta Vineyard in the Clements Hills area, where in these foothills overlooking the valley, a variety of microclimates and warmer temperatures seemed the perfect fit for their business plan. Bokisch explained, “ These volcanically derived soils here in the vineyard are good soils for Mediterranean varietals, that’s why we’re here, we sought this site for its soils.” Initially planting Tempranillo, Albariño, and Graciano from Spain in the Las Cerezas Vineyard alongside their home, the Bokischs added more vineyards and varietals, Verdejo, Verdelho, and Garnacha Blanca for the whites, Garnacha and Monastrell for the reds. They’ve ramped up their production, garnering legions of fans and awards along the way. 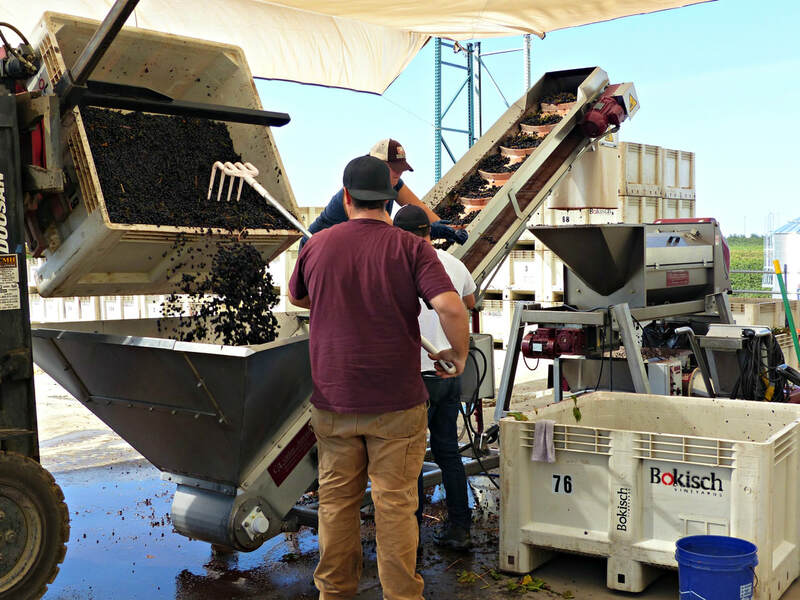 Within twenty years, Bokisch has expanded and evolved, farming over 2000 acres of wine grapes across most of the Lodi region, and selling most of those grapes to over 60 winemakers, broadening their range to Cabernet Sauvignon, Chardonnay, Merlot, Malbec and Pinot Noir. 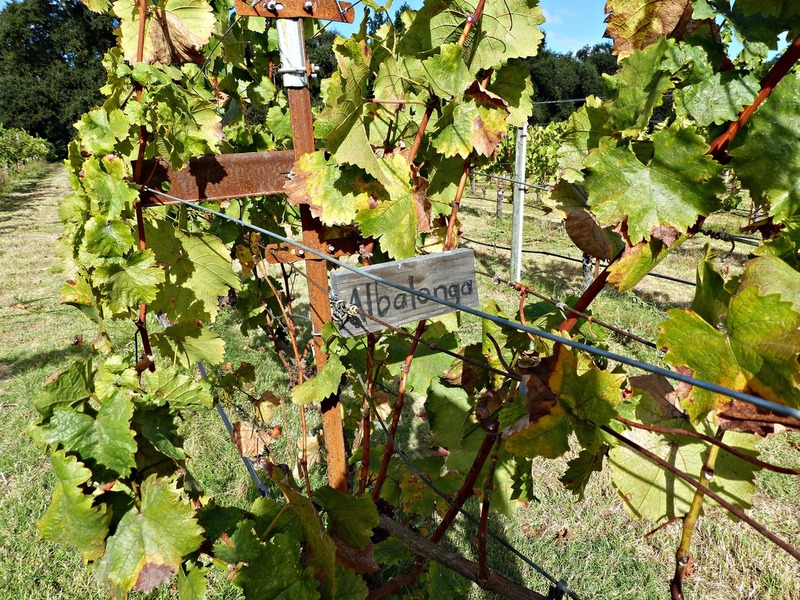 For their own brand, 15 wines are produced from this bounty of grapes, including three single vineyard versions of Albariño, an Old Vine Zinfandel, and a Red Blend. 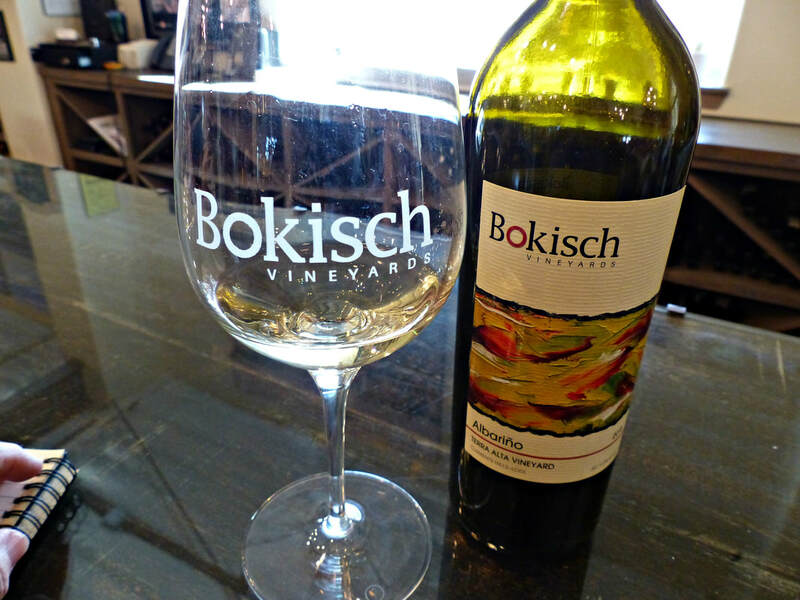 Bright and aromatic wines, multi-layered with fruit, structure and spice, zesty whites, a captivating Rosado, sophisticated reds with complex flavors, it’s easy to see why Bokisch is so widely admired. Today, this bustling empire has a lot to offer with their wines. 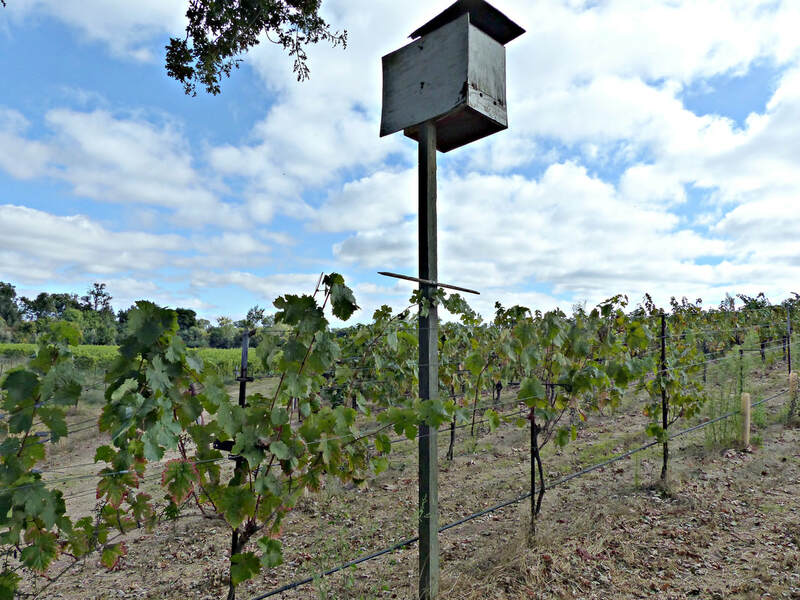 Currently, 23 varietals are grown, certified sustainable under Lodi Rules, with a rotating cast of wines, 16 under the Lange Twins label, Sauvignon Blanc, Chardonnay, Gewurztraminer, and Moscato for the whites, Merlot, Pinot Noir, Nero d’Avola, Petite Sirah, Cabernet Sauvignon, Old Vine Zinfandel, Teroldego, and Bordeaux blends for the reds. 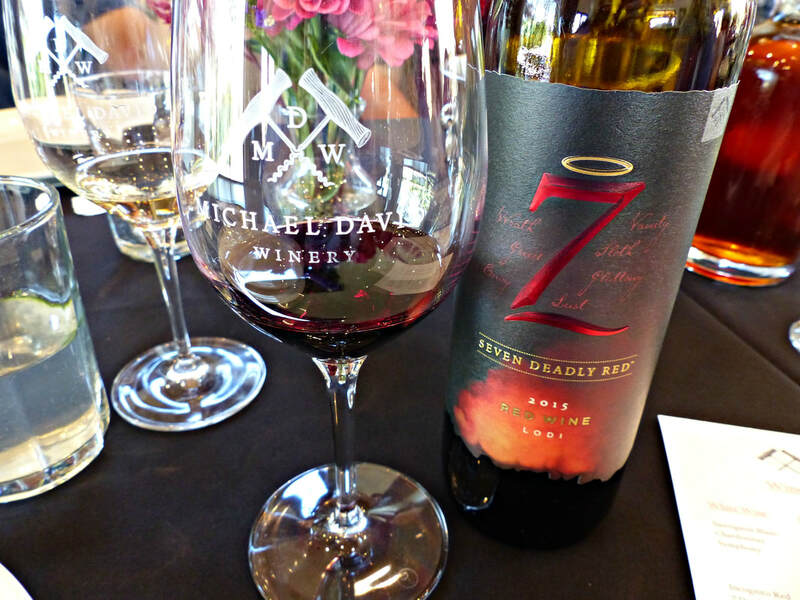 The 2011 Centennial Old Vine Zinfandel is the 105th vintage of Zinfandel from the Lewis Family Vineyard, planted in 1903, and is supple and complex, reflective of what old vine fruit brings to wine, concentrated, rich, and velvety. 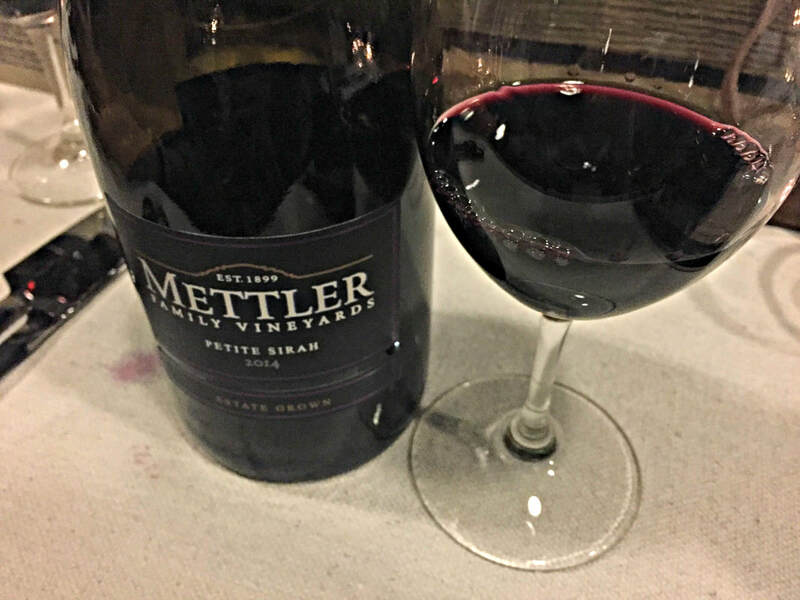 One of Lodi’s oldest farming families, the Mettlers are winegrowers and winemakers of the highest caliber. Certified sustainable with some vineyards organic, they also experiment with unusual varietals to Lodi, such as Aglianico and Pinotage. Keeping 5% of the best of what they grow for their Mettler Family Vineyards label, the family produces three whites, Albarino, Chardonnay and Muscat Canelli, and eight reds, Old Vine Zinfandel, Petite Sirah, Cabernet Sauvignon, Merlot, a GSM, Pinotage, Aglianico, and a Red Blend, bottled under their label. 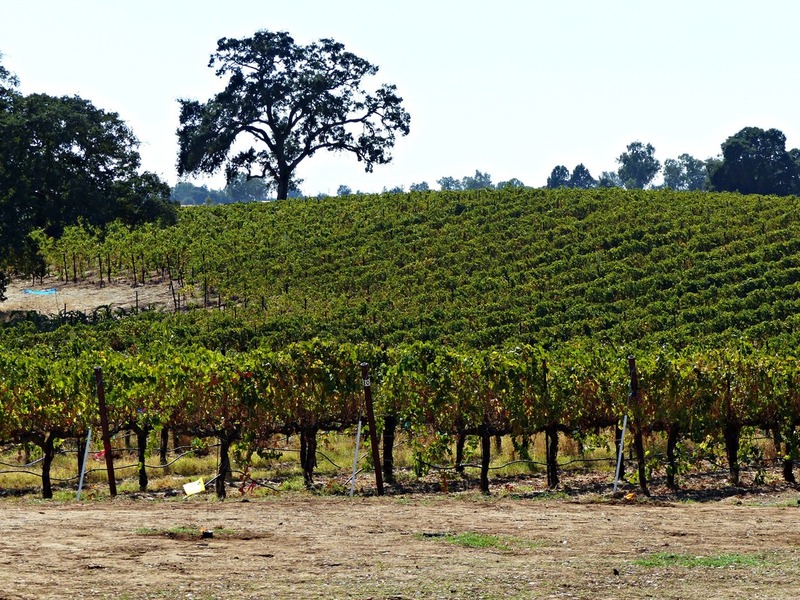 These vineyards along the banks of the Mokelumne River, farmed by the Koth family, are some of the most unusual vines in the Lodi area. 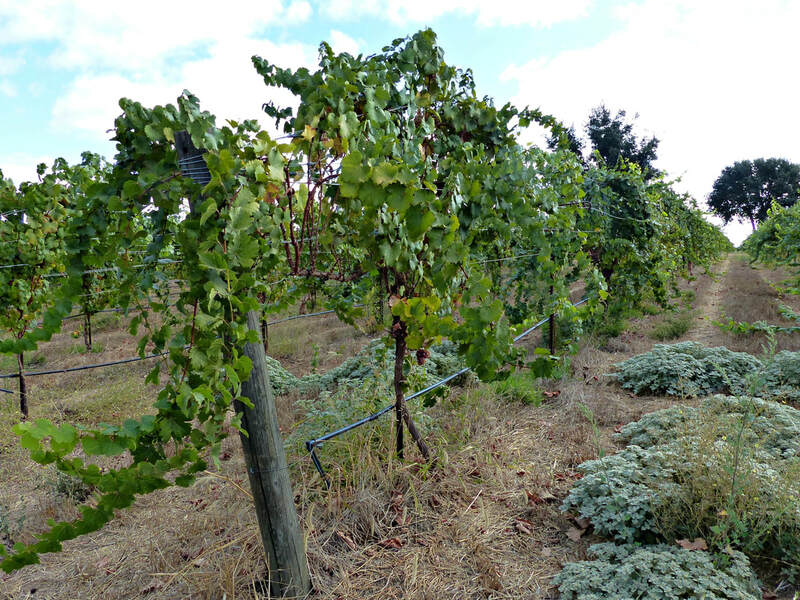 Like an encyclopedia of wine grape varietals, these rows of vines at Mokelumne Glen Vineyards, sporting signs of 51 different varietals and clones, offer a rare opportunity to taste German and Austrian wines through the lens of Lodi. 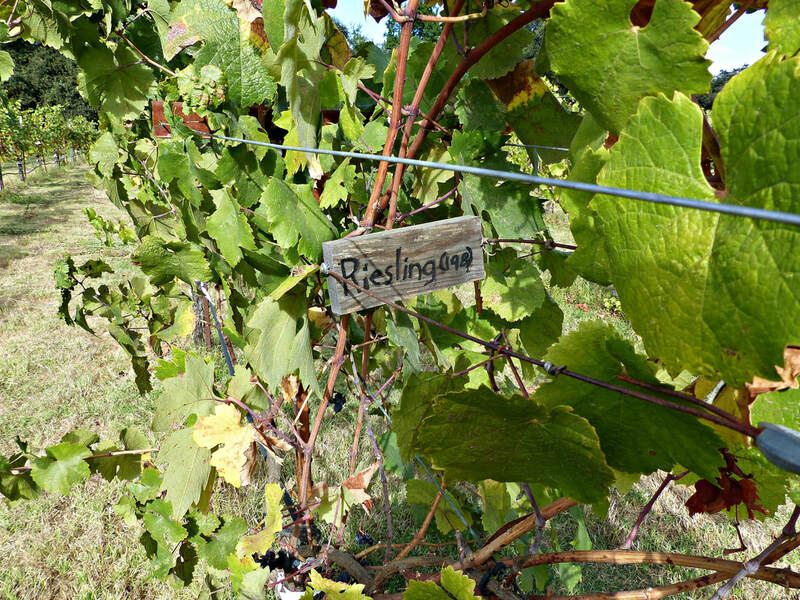 Affectionately called The German and Austrian Collection by the Koth family, many of these grapes are varieties most wine drinkers have never heard of, and some are crosses, christened with their original German names, such as Grauburgunder aka Pinot Gris. It’s a living winegrape classroom, where maybe only 6-8 vines of each varietal grow, an experiment with what works and what can be improved. This was not the path the Koth family originally chose, yet it is one that found them. Life changed for the Koth family in 1989, when Bob Koth visited his daughter, Ann Marie, who was attending college in Maintz, Germany. He experienced an epiphany over lunch with a glass of Riesling, and felt compelled to learn more about German wine. 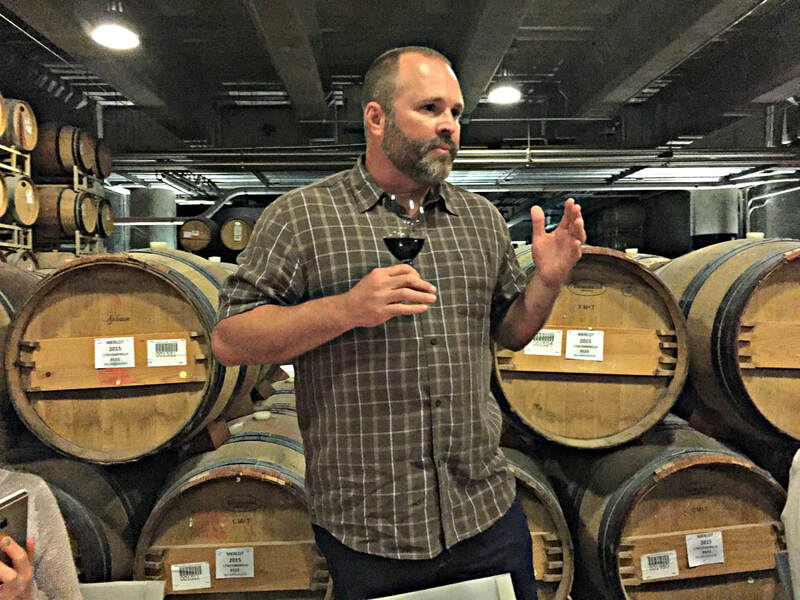 Bitten by the wine bug, Koth returned to his farm in Lodi, and studied and consulted with other home winemakers, determined to recreate that moment of discovery in his own backyard. 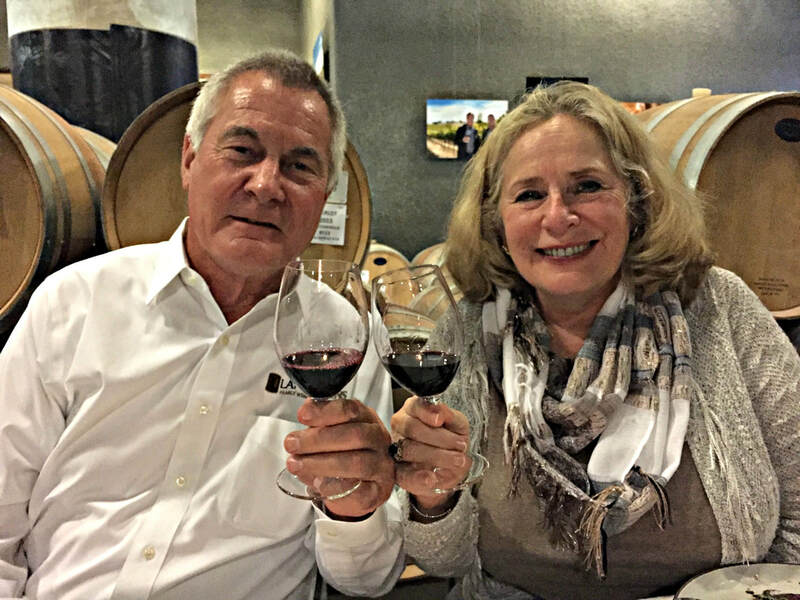 Over time, Bob, his wife Mary Lou, son Brett and daughter Ann Marie, found themselves immersed in winegrowing and winemaking, the proud owners of probably the most complete collection of German and Austrian winegrape varietals in one place, across the US and possibly the world. 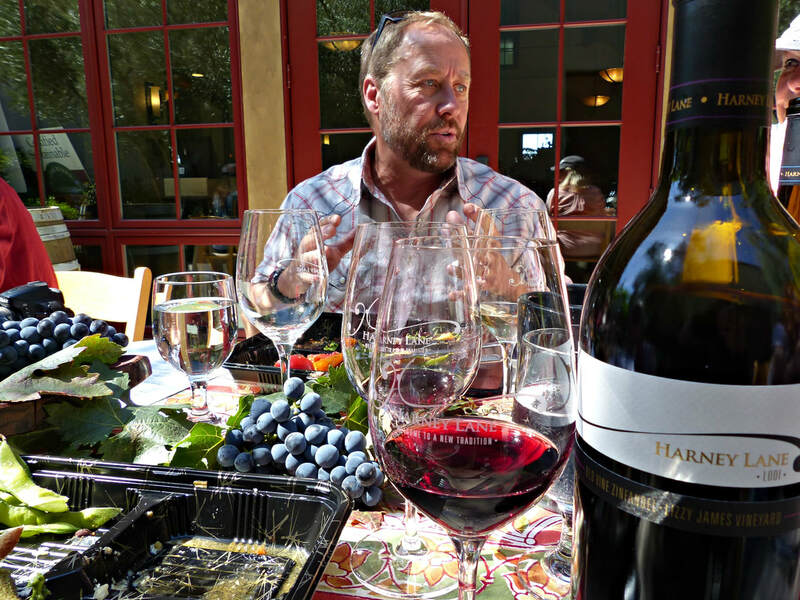 Today, they no longer make wine but under Brett’s management of the vineyards, Mokelumne Glen’s fruit is in high demand among small production winemakers, such as Markus Niggli of Markus Wine Company, Jason Holman of Uncharted, PRIE Vineyards and Hatton Daniels, to mention a few. 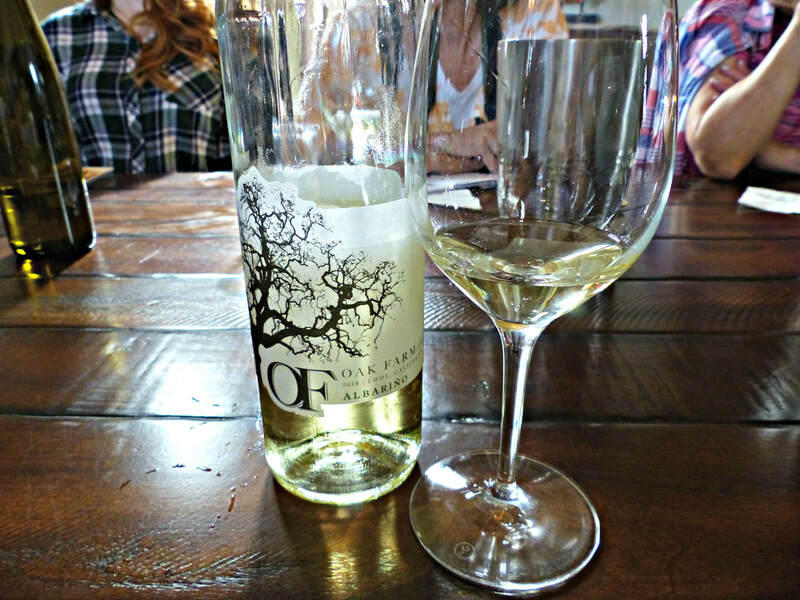 The white wines are beautiful; floral, mineral, and saline with an acid-sugar component that is so refreshing. 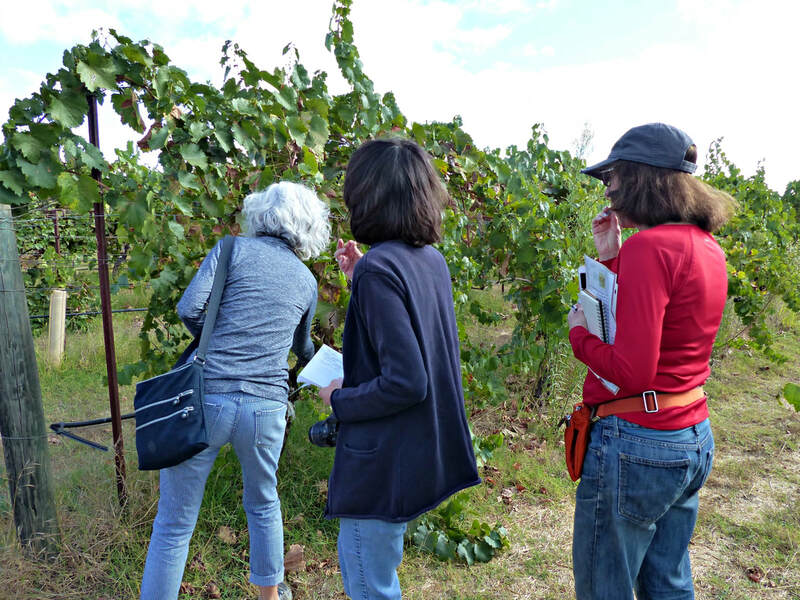 Under the trees, alongside the vineyards, a chance to sample several bottles, illustrating what Mokelumne Glen fruit can become in the hands of talented winemakers. 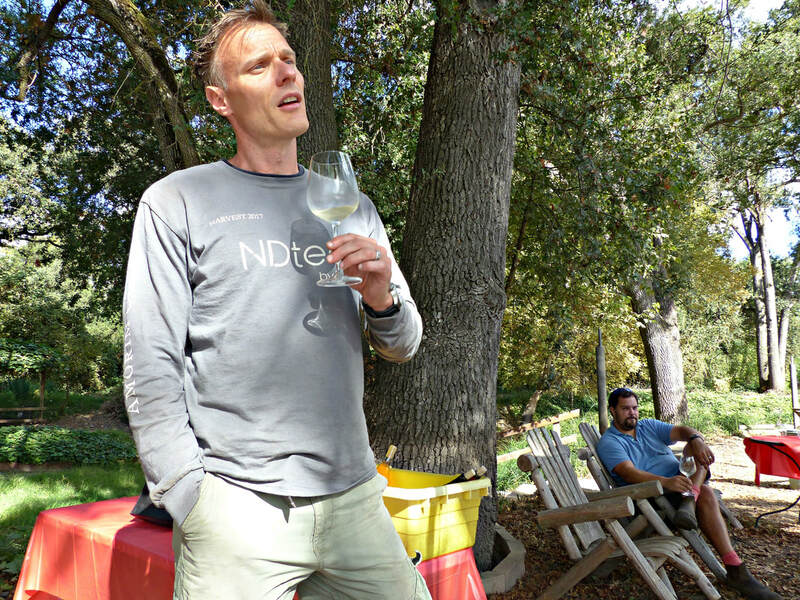 Markus Niggli poured two enchanting Kerner/Riesling/Bacchus blends, Nativo and Nimmo, and a captivating Bacchus. 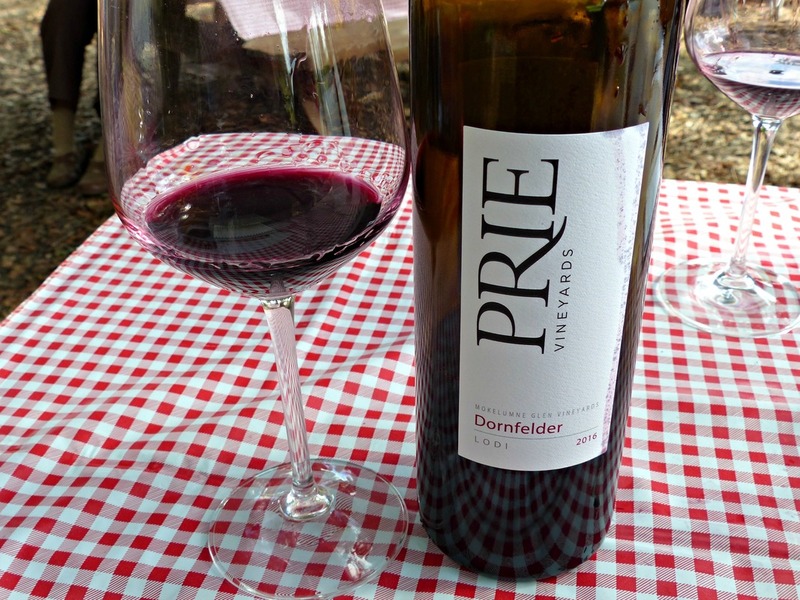 PRIE offered a floral Gewurztraminer and inky Dornfelder, Jason Holman poured his perfumed Uncharted Bacchus, and a Hatton Daniels trio of wines, a fascinating, delicious and improbable Rosé of Dornfelder, a feral Zweigelt, and a funky Blaufrankisch, all so intriguing! 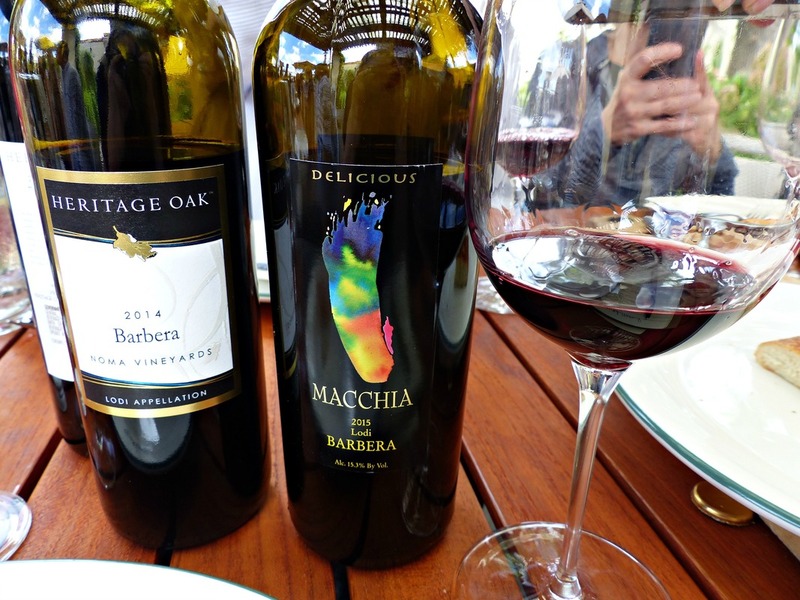 Barbera was explored over lunch at Pietro’s Restaurant, with several winegrowers and winemakers in attendance; Dan Panella of Oak Farm Vineyards, Stuart Spencer of St. Amant Winery, Steve Borra of Borra Vineyards, Tom Hoffman of Heritage Oak Winery, and Lani Holdener of Macchia Wines. 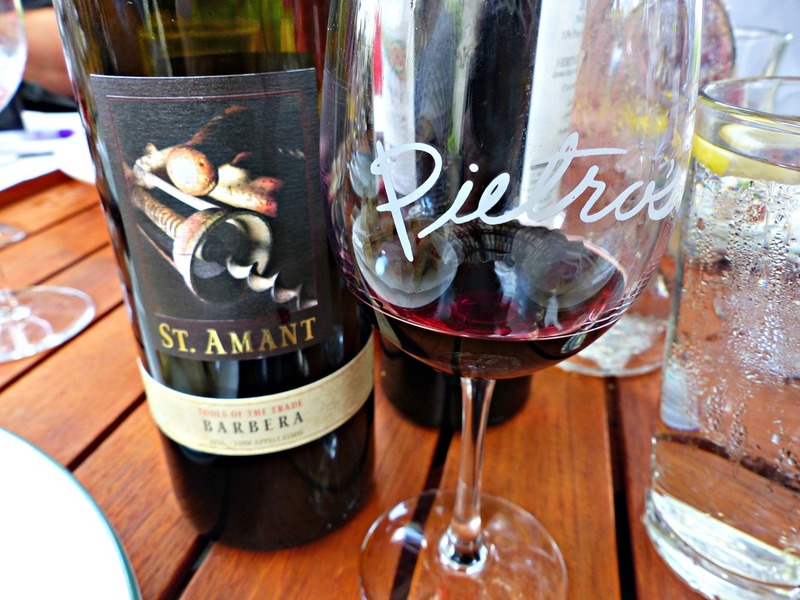 Barbera wines from Oak Farm, PRIE, Heritage Oak, St. Amant, Borra Vineyards, and Macchia flowed, along with a Barbera Rosé from St. Amant, which demonstrated how food-friendly Barbera is. 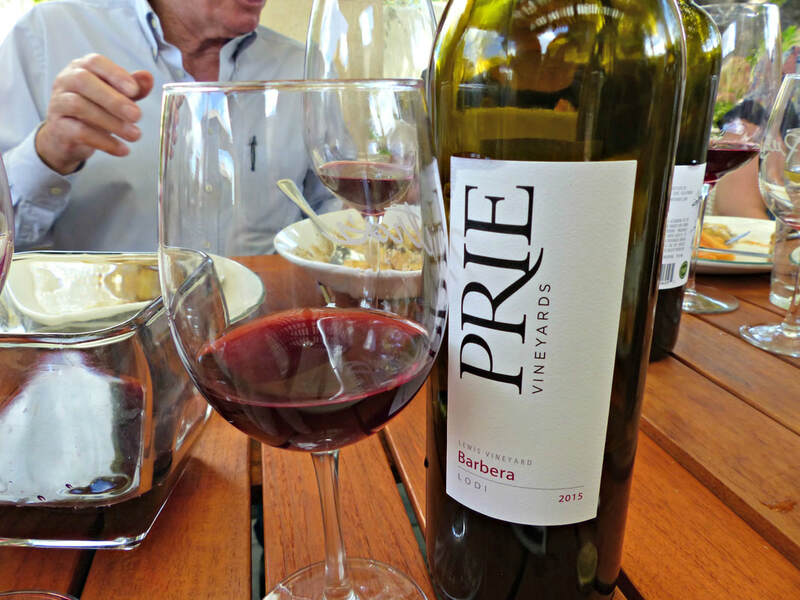 It’s high acidity, balanced with full fruit flavors and a tart edge, perfectly pairs with Italian tomato-sauced dishes, allowing the food to shine. 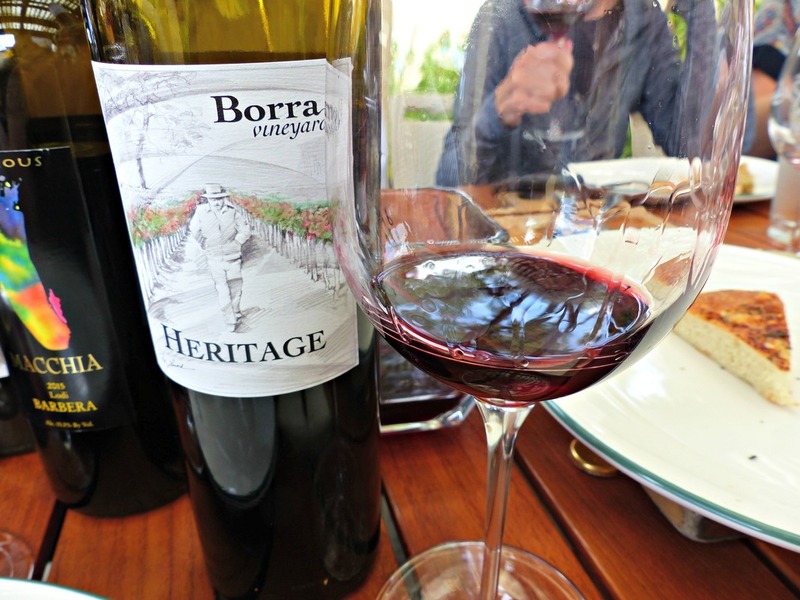 Additional Italian varietal wines were tasted, with Sangiovese by Oak Farm Vineyards and Macchio Wines, while Borra brought a great field blend, Borra Heritage, all co-fermented together, a melting pot of aromas and flavors. 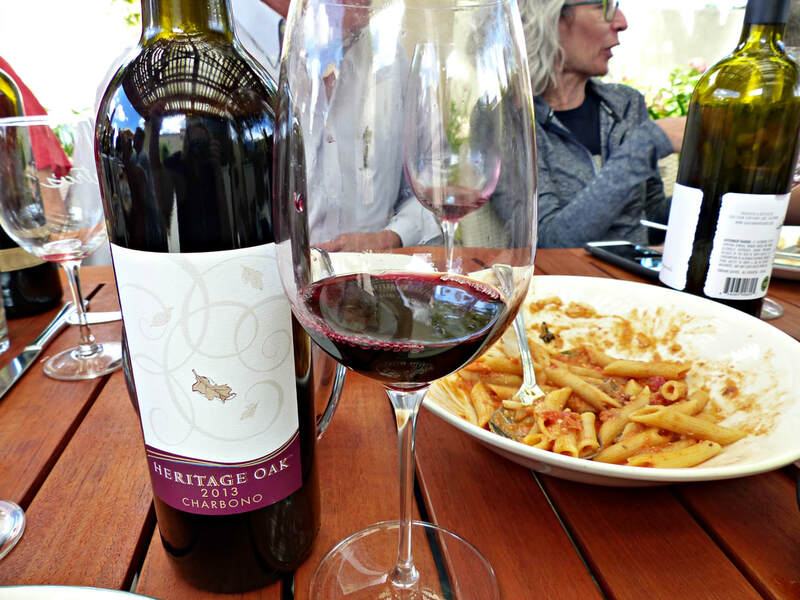 Hoffman brought a rare Charbono, a rich smooth wine, very different in flavor, with dark fruit and hints of black licorice. 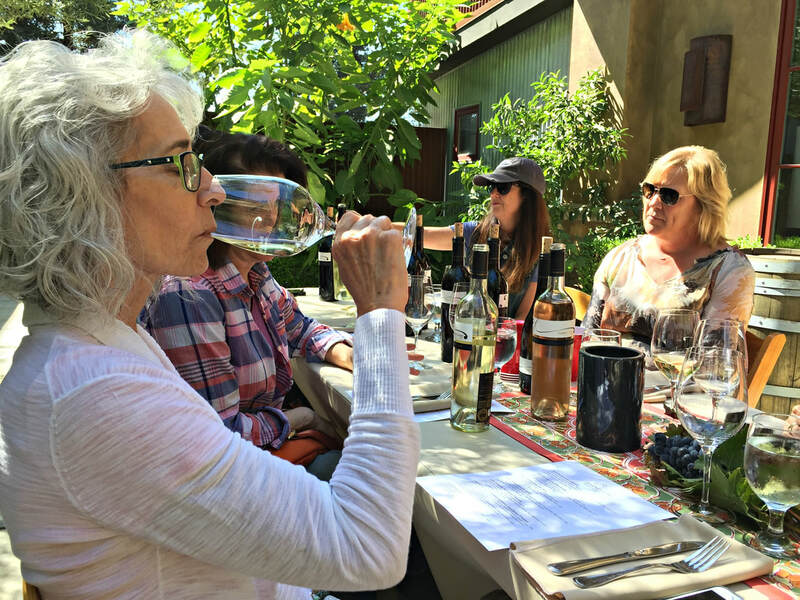 Fabulous wines that taste twice the price, an unassuming wine region that welcomes wine pilgrims, a place where winegrowers and winemakers share their knowledge and love of the vineyards, Lodi Wine Country should be on every wine lover's list. 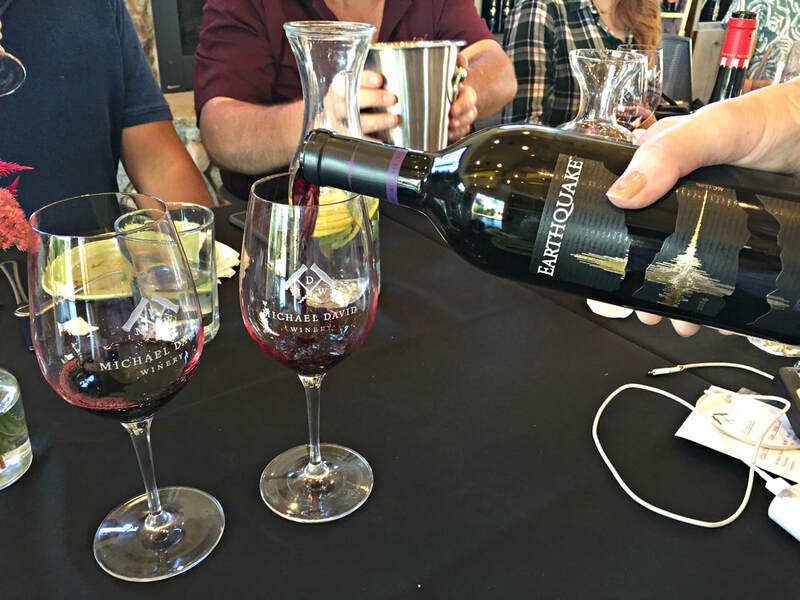 It's exciting, and with so much to offer, it's a chance to drink varietal wines that you've never heard of, experience the exhilaration and passion of a new wave of winemakers, and feel the strong sense of history and community that percolates through their wines.